Entre 300 000 et 450 000 célibataires auraient été forcées de céder ainsi leur bébé, selon Valérie Andrews de l’organisme Origins Canada, qui vient en aide aux personnes séparées par l’adoption. 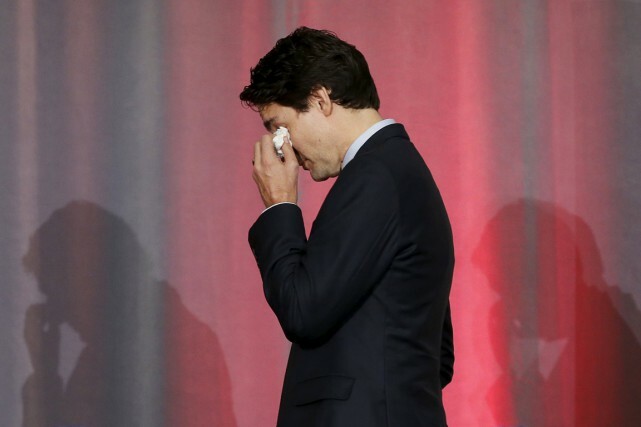 Des excuses réclamées au fédéral pour des milliers de victimes d’adoptions forcées au Canada le Québec et les religieuses complice de se massacre et Génocide. Le Parlement d’Ottawa, photographié le mercredi 8 février 2017, à Ottawa. OTTAWA | Le gouvernement fédéral doit s’excuser pour son rôle dans les adoptions forcées de centaines de milliers d’enfants au Canada après la Deuxième Guerre mondiale, réclame un rapport sénatorial déposé jeudi. De 1945 à 1971, environ 600 000 enfants au pays ont été arrachés des bras de leur mère simplement parce qu’elle était célibataire. Ces bébés, enregistrés comme «naissances illégitimes», étaient ensuite placés en adoption dans des familles «traditionnelles». Selon le rapport intitulé «Honte à nous», le gouvernement canadien a financé des foyers de maternité où les mères célibataires allaient accoucher en secret. Jusqu’à 95 % des femmes hébergées dans ces foyers devaient abandonner leur enfant, note le document. Des excuses du Canada pour la «rafle des bébés» représenteraient le «début d’une possible guérison» pour les victimes, a soutenu en conférence de presse la sénatrice Chantal Petitclerc, lors de la présentation du rapport du comité des affaires sociales. Jusqu’à 400 000 mères pourraient s’être fait retirer un enfant, mais en raison du secret qui entourait la pratique et de la difficulté d’accéder aux archives, il est presque impossible d’établir un nombre précis de victimes. «Nous espérons que des excuses nationales […] permettront de faire savoir à nos enfants qu’ils étaient aimés et désirés, et qu’ils n’ont pas été abandonnés volontairement», a ajouté Valerie Andrews, directrice générale de l’organisme Origins Canada. Survivante de la «rafle des bébés», Mme Andrews s’est fait retirer son enfant en 1969. Quand elle a revu son fils, il était âgé de 31 ans. Les mères ont laissé aller leurs enfants sous les menaces, l’intimidation et la contrainte physique, a-t-elle confié, parlant de pratiques «brutales et inhumaines». Elle s’est dite déçue que plusieurs institutions religieuses, dont l’église catholique et anglicane, n’aient pas participé en mars aux audiences du comité bien qu’elles aient géré plus d’une soixantaine de foyers. Le rapport du comité demande également des services de soutien psychologique pour les victimes, ainsi que la mise en place d’une politique commune au pays, à travers les provinces et les territoires, pour faciliter l’accès aux dossiers d’adoption. Aucune compensation financière n’est demandée dans le rapport pour les dommages subis par les familles, une revendication qui n’était pas prioritaire pour les témoins entendus en comité, d’après la sénatrice Petitclerc. Reconnaissant que la rafle des bébés a laissé «un héritage d’amertume et de souffrance», le gouvernement compte prendre le temps d’étudier le rapport avant d’y répondre, a fait savoir Michael Brewster, porte-parole du ministre de la Famille, Jean-Yves Duclos. En mars 2013, le gouvernement australien a présenté des excuses officielles aux victimes de pratiques d’adoption similaires durant la période d’après-guerre. The primary stakeholders in the opening of adoption records are those who have been separated from a family member by adoption. This would include the adult adoptee, natural mother and father, and extended family. c) Adoptive parents have not been separated from any family member by adoption. Personal documentation regarding one’s birth is available to the majority of members of society, except, to our knowledge, people who were adopted and mothers who surrendered their babies for adoption based on their being ‘separated by adoption’. This would constitute discrimination to a segment of the population. The disparity in open records legislation by province is problematic as basic human rights are available for some Canadians and not others therefore constituting discrination to one sector of the population. 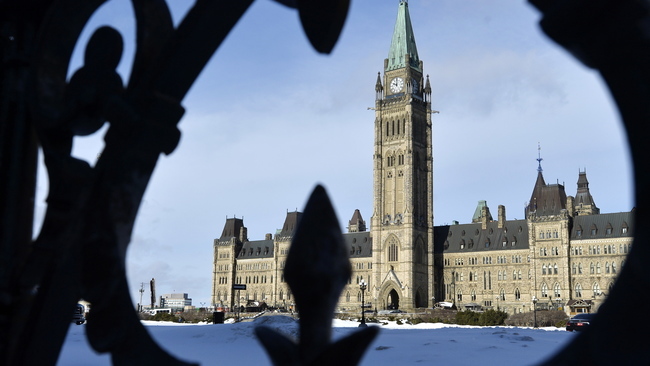 Many Indigenous people separated by adoption during the Sixties Scoop have been denied their native status and, in some cases, Canadian citizenship. Only through transparency and openness in adoption records can those Indigenous people impacted hope to be repatriated to their band of origin. Adopted adults, natural parents and siblings should have direct access to identifying information on their family members. Adopted adults are no longer children, but are competent adults capable of making decisions and connections for themselves, or to ask for assistance if necessary. Sealed adoption records continue to treat adopted adults as perpetual children in need of some kind of protection. Members of our society have the right of freedom of association with any person, including their natural families. At Origins, we are not aware of natural families or persons adopted contacting each other for any nefarious purpose. Usually contact is made to answer questions, exchange information, or to initiate family contact with hopes of a relationship. In this age of technology, citizens of Canada receive unsolicited calls or technological intrusions from a variety of sources and have the choice as adults on whether or not to interact with those people. 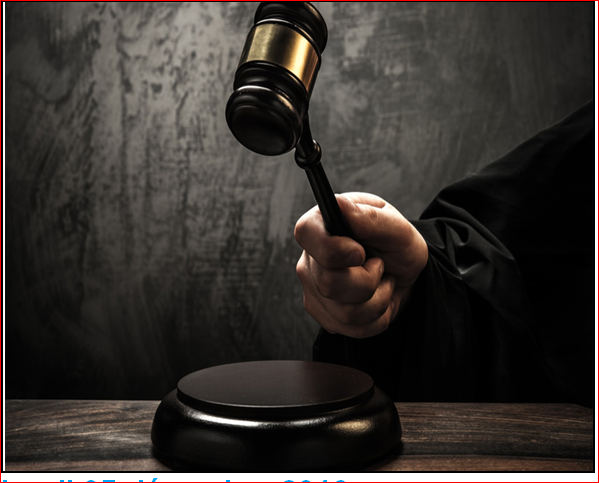 Further, all citizens are protected by law in cases of harassment or unwanted contact. A “special law” enacted by the State for “those separated by adoption” sets them apart from all others in society, appearing to suggest they are a suspect group. Adoption records are open in many jurisdictions in Canada and around the world without negative consequences. Natural parents and persons adopted do not have the same right of freedom of association as other citizens in Canada under current legislation. Adoption records were originally closed for several reasons which do not apply today. Unmarried mothers were often told adoption would protect their children from the socially and legally constructed stigma of ‘illegitimacy’. 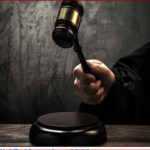 In modern society, it is not socially or legally acceptable to stigmatize single parents and their children with ‘illegitimacy’, and with the trend today for openness in adoption practice and law, past reasoning to keep the records closed no longer exists. Contrary to popular belief, adoption records were not sealed to protect natural mothers. 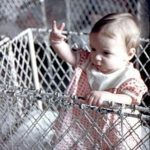 Adoption records were sealed to protect the interests of adoptive parents from any possible interference by natural families and to perpetuate the “as if born to” myth. When adoption records open, they are not open to the general public but only to those adopted, and their mothers. Secrecy and shame entwined in past adoption practice have supported the emergence of myths, misinformation, and fear associated with Open Records. Due to liability concerns, governments, religious groups, and social service agencies continue to restrict access to adoption related records. In many jurisdictions the matter of mothers’ ‘confidentiality’ or ‘privacy’ from their daughters or sons is used not only to blame mothers for legislation they had no part in creating, but also as a condition of their surrender. To this point in time, Origins Canada has not any document signed by a mother that afforded her ‘confidentiality’ or ‘privacy’ from her son or daughter. We also have not seen any evidence that anonymity was a ‘choice’ for young mothers through a law or document signed by a mother where she was allowed to refuse ‘confidentiality’ or ‘privacy’ from her daughter or son at the time of surrender. In the absence of specific legislation regarding confidentiality for mothers, adoption facilitators did not have authority to suggest to some mothers there would be ‘confidentiality’ from their daughters or sons. In contrast, around the mid to late 1970s when the availability of babies began to decrease, some mothers were ‘promised’ by adoption facilitators they would be able to make contact their sons or daughters when they reached the age of majority. A ‘promise’ that most often did not materialize as ‘promised’ because closed adoption records existed or still exist. The keeping of social secrets of some individuals in society should not be governed by legislation, costly government departments, and civil servants. The keeping of social secrets of some individuals in society does not supercede the right of others in society to have access to their own birth documentation and information about their identity. There are studies, and our experience indicates that a high percentage (86%) of mothers want to know about and have contact with their now-adult children. With the introduction of the internet and social media, there have been increasing numbers of people searching for each other, often resulting in positive healing reunions. It is a basic human right for every person to know their origins and to obtain their birth documentation from the state. Mothers who gave birth to babies who were lost to adoption in the past have also been denied the right to have the original birth certificate even though it was most often the mother who gave the information for the registration of birth. The birth of her baby has not been acknowledged and validated as is the right of all other mothers who give birth in our society. It is not a secret from her. The mothers gave birth, and has the right to obtain paperwork to prove that birth. Although mothers (many single and unsupported) lost their right to raise their children when they surrendered to adoption, this does not preclude them from seeking their adult children once they reach the age of majority; adulthood. There is no logical reason today, where openness in adoption is the norm, to preserve the archaic consequences of the closed adoption system of past decades in present day legislation. The keeping of closed adoption records is becoming an obsolete and costly endeavour for governments as those searching for family are increasingly, and with good results, using DNA to find family members. Also with the introduction of the internet and social media, the number of people using this technology has grown expeditiously, often resulting in affirming healing reunions. No citizen in Canada should have the right in law to prevent another citizen in Canada from receiving their personal government documents, such as a birth registration, or birth certificate. A new group of marginalized citizens is created when records open, except to those individuals where vetoes are filed. Vetoes are hurtful. Many mothers and adopted persons who search and find a veto at the end of their journey, are devastated with no recourse. In provinces where records are open, eg. Ontario, less than 1% of those who had the opportunity to file vetoes actually did so. Origins have had reports of fraud in the filing of vetoes. eg. vetoes filed by adoptive parents instead of adopted person. The administration of vetoes is costly and ineffective. It is not the mandate of government to monitor the social secrets nor the freedom of association of its citizens. In jurisdictions where records are open with no restrictions, or have never been closed, no negative consequences have been reported. Not all countries have closed or mediated adoption records. Nations such as France, Saudi Arabia, Mexico, Norway and Israel have never closed their adoption records. Adoption records have been open in Scotland since 1930, in Great Britain since 1975, in Australia since 1991, and in New Zealand since 1985 with no negative consequences. In fact, Canada is the last remaining Commonwealth nation that continues to have some closed records in some provinces. Currently in Canada, four provinces and one territory have Open Adoption Records including Newfoundland, Ontario, Alberta, British Columbia and The Yukon. 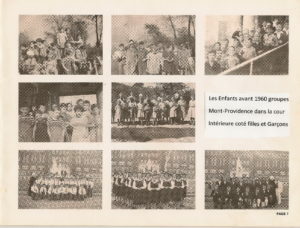 Le Mont-Providence construit en 1947 ouvert en 1950 Conjointement avec les subventions fédéral et provincial à la demande par la Communauté des Sœurs de la Charité de la Providence quel providence pour ses enfants contrôler par la religion Catholique de Rome . Paul Joseph James Martin, souvent connu sous le nom de Paul Martin, père, né le 23 juin 1903 et mort le 14 septembre 1992, est un homme politique canadien. Né d’une famille franco-ontarienne à Ottawa, en Ontario, il fut par la suite élevé à Pembroke, en Ontario. Il fit ses études secondaires au Collège St-Alexandre à Gatineau, Québec; il compléta son éducation universitaire à l’Université de Toronto. Martin pratiqua ensuite le droit à Windsor, en Ontario. 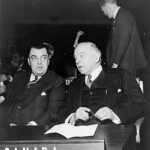 Membre du Parti libéral du Canada, il fut d’abord élu à la Chambre des communes du Canada en 1935 et fit son entrée au cabinet en 1945. Il servit comme ministre notoire dans les cabinets de quatre premiers ministres: William Lyon Mackenzie King, Louis St-Laurent, Lester B. Pearson et Pierre. 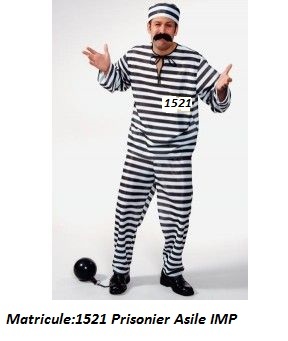 Fait une en-quette sur le déficitaire de l’ordre de trois cent cinquante mille dollars . Ont trouver dans le rapport les fonctionnaires une anomalie car a sa vocation première avait fait la demande pour un nouvelle hôpital non pas un orphelinat donc elle avait menti a cette vocation, alors il ont refusé de donner la suite a cette demande. 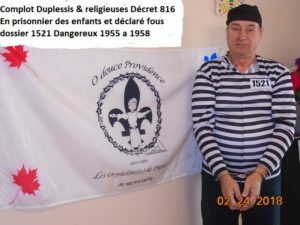 Le décret de la mort la liberté de 370 enfants ne hors mariage sans le consentement de L’église Catholique de Montréal et Québec, donc ont se souviens dit le slogan ……..
Un été avant avant le retour des vacances des classes les religieuses envoyant une lettre disant comme ceci ne ramener pas vos enfants car il auront a passer des test de psychologie et il risque d’avoir des pathologie de débilité mental et l’institution deviens un Hôpital Psychiatrique alors carder les chez-vous. 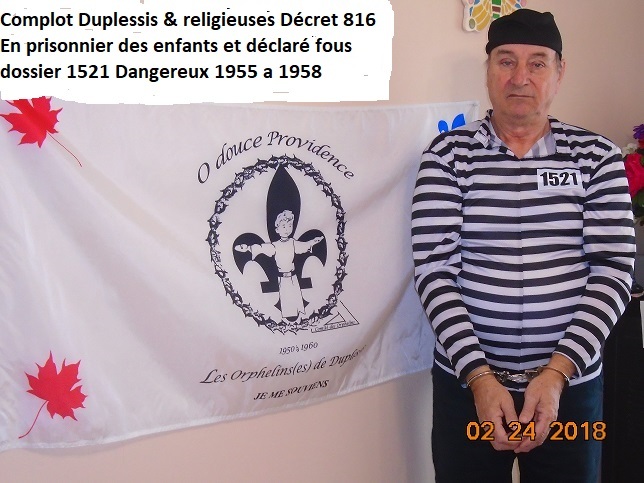 2 ime Gouvernement Duplessis décret de la mort 816 Maurice Duplessis 3- ime La Congrégation des sœurs de la Charité de la Providence . Quelle Providence pour le mauvais traitement pour ces 370 enfants 4- Les psychiatres du Québec le miens Dr Bernard Piché surintendant du Institue Médicaux Pédagogique. Les Hôpitaux et Institutions manipulé par la religion et les deux Gouvernements aussi les religieuses et les psychiatres du Québec Quelle Providence pour ses enfants. Comme je disait toujours ou souvent il faut faire attention au allégation oui il y avais des bonnes sœurs, dans le lot. Parole de Hervé Bertrand. C,est comme dans un paniers de pommes les pommes pourrîtes font pourrir les autres pommes moi et autres orphelins ont parlait aux sœurs et elle nous comptais leur doléance et leur peine moi j’avait une sœur dans la cuisine elle me disait pour la dernière fois tu sait Hervé c,est pas tout gaieté de cœur que je m’en va de la congrégation, au de la de l’obéissance je n’accepte pas qu’ont prend des enfants comme vous et en faire des débiles aussi les faire travailler comme esclave, tu sait Hervé les sœurs ont pleuré durant trois a quatre jour après l’ultimatum dans la chapelle, la supérieure a demander si sa vous-plait pas prenez la porte et revenez jamais dans nos rang. Encore aujourd’hui je pense a elle sœur E…….. elle ma embrasser et elle ma dit pauvre petit garçon j’espère que tu va en sortir. L’inauguration officielle de l’Hôpital Saint-François d’Assise a lieu en août 1914. Ce sont les religieuses de la Congrégation hospitalière et enseignante de Saint-François d’Assise qui en sont les fondatrices. Parmi les médecins fondateurs de l’hôpital se retrouvent les docteurs Albert et Achille Paquet, le professeur et chirurgien Albert Marois et les docteurs Émile Fortier et Théophile Robitaille. En octobre 1914, l’hôpital inaugure l’école des gardes-malades. En 1925, l’école est affiliée à l’Université Laval et, en 1959, elle déménage dans un nouvel édifice qui lui est spécifiquement réservé. Elle cessera ses opérations en 1970 en raison de la restructuration du système scolaire. 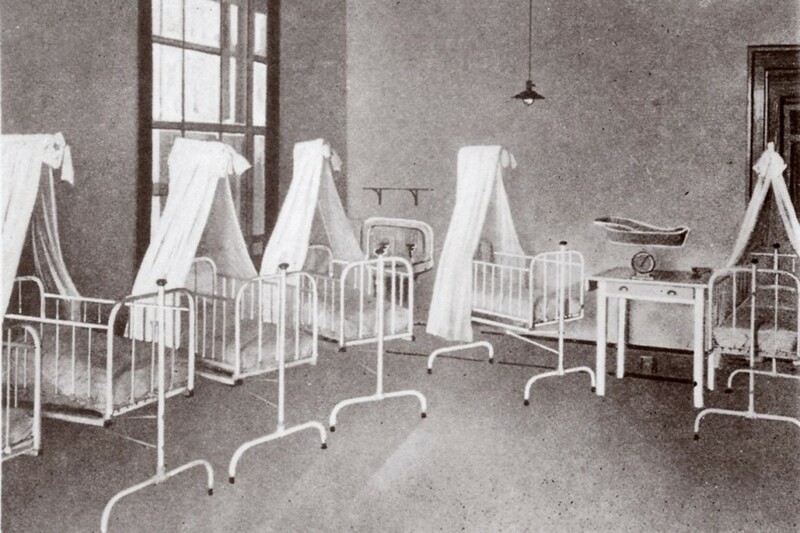 Les services de chirurgie, la médecine générale et la maternité sont rapidement mis en activité pour répondre à l’affluence des patients, et, dès décembre 1914, le service d’hydrothérapie de l’hôpital est fonctionnel. À la déclaration de la guerre en Europe, l’hôpital consacre 35 lits aux membres des Forces armées canadiennes. Après la guerre, l’hôpital ne compte encore que 60 lits, le service de maternité est toujours sa priorité, mais un secteur général s’est ajouté. À la fin des années 1930, l’hôpital s’agrandit une première fois pour atteindre les 150 lits. 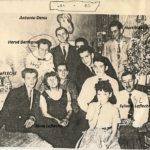 En 1947, une autre aile vient s’ajouter à l’hôpital et porte le nombre de lits à 360. 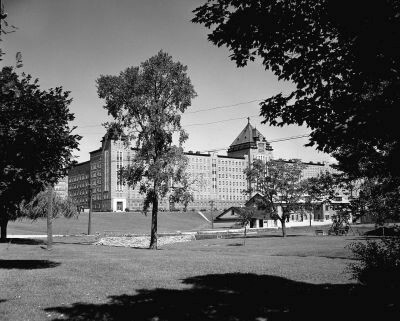 L’année 1953 voit l’hôpital s’affilier à l’Université Laval. En 1971, un nouvel agrandissement augmente le nombre de lits de 150. Puis, en 1974, par l’intégration de Domrémy-Québec, le nombre de lits passe à 602. Depuis 1974, l’hôpital est devenu une corporation publique exerçant la mission d’un centre hospitalier universitaire. L’Hôpital Saint-François d’Assise est, désormais, un hôpital général de soins de courte durée ultra spécialisé en obstétrique, néonatalogie, pédiatrie et toxicomanie. Ce fonds comprend les documents historiques et administratifs de l’œuvre. En plus des documents manuscrits, les archives renferment des bandes sonores, et des photographies relatives à la vie hospitalière. La majeure partie de ce fonds, encore non-traité, contient des documents qui concernent les années 1970, 1980 et 1990. Parmi toutes ces archives, on retrouve de la correspondance du Bureau médical, des informations historiques, des dossiers administratifs, des procès-verbaux des différents conseils et de tout ce qui concerne le corps médical et ses activités, des cahiers techniques et différents organigrammes, les dossiers des membres du conseil administratif ainsi que divers documents sur les activités du conseil, des registres de la salle d’opération, des mentions d’honneur, des coupures de journaux, des rapports annuels, des états financiers et des renseignements sur l’école des infirmières. On y retrouve également des dossiers d’infirmières, des conventions collectives, des mosaïques des gradué(e)s de l’école des infirmières et des conseils médicaux, des revues de presse et des livres de cours. De plus, il y a une grande quantité (env. 400 cm) de dossiers de médecins et de nombreuses photographies de l’édifice, de ses départements et de ses activités diverses. Le fonds comprend aussi quelques objets muséologiques, principalement des instruments chirurgicaux et de différents services médicaux, tel l’ophtalmologie. Ce fonds est particulièrement riche en documents de toutes sortes, mais de nombreuses restrictions à la consultation s’appliquent. Les informations sur l’école des infirmières sont très riches et permettent de bien saisir l’importance et l’achalandage de cette école. De plus, les différents événements marquant de l’établissement sont très bien documentés tant textuellement qu’iconographiquement. Les différents procès-verbaux et les rapports annuels fournissent pour leur part nombre d’informations sur le fonctionnement et les préoccupations de l’hôpital. Archives de l’Université Laval, fonds U519 ; une photographie. Aux Archives nationales du Québec, dans le fonds du ministère de la santé et des services sociaux, dans la série hôpitaux, on retrouve de la correspondance entre le ministère et cet hôpital qui couvre la période suivante : 19 août 1921 au 22 septembre 1947. La sous-série Conseil et comités du fonds de la ville de Québec, conservée aux Archives de la ville de Québec, contient des documents d’archives qui concernent l’Hôpital Saint-François d’Assise. Un répertoire numérique est mis à la disposition du chercheur pour l’aider dans ses recherches, soit le Répertoire numérique détaillé de la sous-série Conseil et comités du fonds de la Ville de Québec. CAUCHON, Roland. 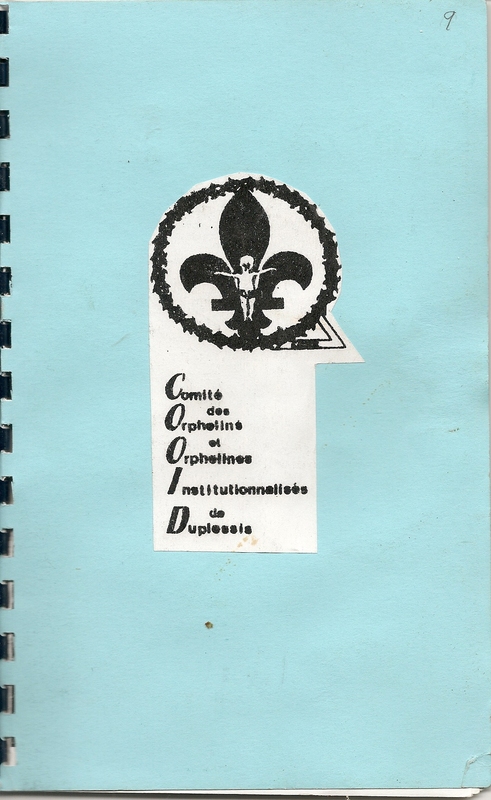 L’hôpital St-François d’Assise : Souvenirs personnels et petite histoire (1914-1954). Québec, 1980. 172 p.
Conférence catholique canadienne. Département d’action sociale. Les hôpitaux dans la province de Québec : Listes complètes, statistiques, associations, assurance-hospitalisation, documents divers. Ottawa, Conférence catholique canadienne, 1961. 103 p. Coll. Le Pavillon La Jemmerais ouvre ses portes le 1er octobre 1928 sous le nom d’École La Jemmerais, avec une capacité de 650 lits. Il est sous la direction du docteur Jean-Charles Miller. C’est une école devant assurer l’assistance et l’éducation des enfants « anormaux » ou « arriérés mentaux ». Au plan de l’administration médicale, l’œuvre relève du Dr Saluste Roy, surintendant à cette époque de l’Hôpital Saint-Michel-Archange. Ainsi, jusqu’en 1939, cet établissement médico-pédagogique revêt, selon ce qu’écrit la secrétaire de l’époque, l’aspect d’une maison d’éducation ordinaire. En 1939, l’incendie de l’Hôpital Saint-Michel-Archange fait en sorte que l’œuvre particulière de la maison se termine, l’établissement doit servir à abriter les malades de l’hôpital. Le Pavillon La Jemmerais poursuit, dès lors, une œuvre similaire à celle de l’hôpital et suit la même évolution que ce dernier auquel il est annexé. En 1976, il change de nom et devient le Pavillon Arthur-Vallée, en rappel du rôle humanitaire joué par le 1er surintendant de l’Hôpital Saint-Michel-Archange. 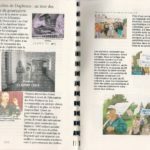 Ce fonds contient les annales manuscrites et des copies depuis les débuts de l’œuvre jusqu’à 1972, des inventaires, des états financiers, des brochures diverses, les nominations des religieuses, les procès-verbaux du conseil local et des visites officielles, les mémoires du Dr Saluste Roy, des informations sur le personnel de l’école en 1938, le livre d’or, trois cahiers de comptes, un registre du personnel laïque de 1928 à 1963 et de la correspondance. Le fonds du ministère de la Santé et des Services sociaux contient, dans la série hôpitaux, de la correspondance échangée entre le ministère et cet établissement de santé entre le 5 novembre 1937 et le 5 janvier 1944. La série service médical aux aliénés renferme, pour sa part, de nombreux documents sur cet établissement et plusieurs autres institutions psychiatriques : des dossiers d’admissions, des registres, de la correspondance, etc. Il est à noter que de nombreuses restrictions à la consultation s’appliquent pour la majorité des documents conservés à l’intérieur de ce fonds. Ce fonds est d’un intérêt certain puisqu’il relate le fonctionnement d’une école ayant une vocation assez particulière à l’époque, soit l’éducation des enfants déficients intellectuellement. Les informations concernant les années suivant la fermeture de l’école, 1939, sont similaires à celles que l’on retrouve sur le Centre hospitalier Robert-Giffard pour les années correspondantes. En 1852, l’Hospice Saint-Joseph de la Maternité fut fondé dans une maison louée par l’abbé Joseph Auclair à monsieur Pierre Boivin. La direction de l’établissement fut confiée à Marie Métivier. L’incorporation légale de cette œuvre eut lieu le 19 mai 1855 et le 23 mai de la même année, l’œuvre déménage sur la rue Couillard. Au cours des années 1870-1874, le projet d’ouvrir une autre maternité fut étudié. Puis, en 1874, les Sœurs du Bon-Pasteur s’installent dans la maison du docteur Wells, achetée par les prêtres du Séminaire, et s’occupent des mères célibataires de la salle commune. En 1876, mademoiselle Métivier cède aux Sœurs du Bon-Pasteur l’Hospice Saint-Joseph de la Maternité qui fusionne avec la Maison de la Miséricorde, et prend le nom d’Hospice de la Miséricorde. En 1929, l’hospice déménage de nouveau sur le chemin Ste-Foy et prend le nom d’Hôpital de la Miséricorde et est annexé avec la Crèche Saint-Vincent de Paul. Cet hôpital sera en fonction jusqu’en 1972. Depuis sa fondation jusqu’à sa fermeture, il fut une maternité prodiguant des soins aux femmes célibataires, aux filles-mères et aux enfants illégitimes. Les soins médicaux étaient assurés par les professeurs de l’Université Laval et son statut d’hôpital universitaire faisait en sorte que des cours d’obstétrique y étaient offerts. 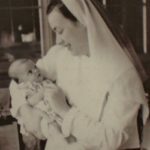 En 1955, Sœur Marie-Laetitia inaugure le premier service social pour la mère célibataire à l’hôpital. Le but de ce service est l’hébergement, la rééducation, l’épanouissement et la réintégration sociale des mères célibataires. En 1961, l’hôpital compte 42 lits et 7 berceaux. De 1874 à 1972, l’hôpital compte 46 122 admissions et 36 788 accouchements. Ce fonds comprend cinq séries. À l’intérieur de cette série, nous retrouvons des documents relatifs aux abjurations, aux admissions, aux enfants placés à l’Hôtel-Dieu du Sacré-Cœur et à une loi (1898). Cette série renferme également les annales, des comptes, des actes au sujet des pensionnaires, de la correspondance et des registres médicaux. Cette vaste série comprend de nombreuses informations. 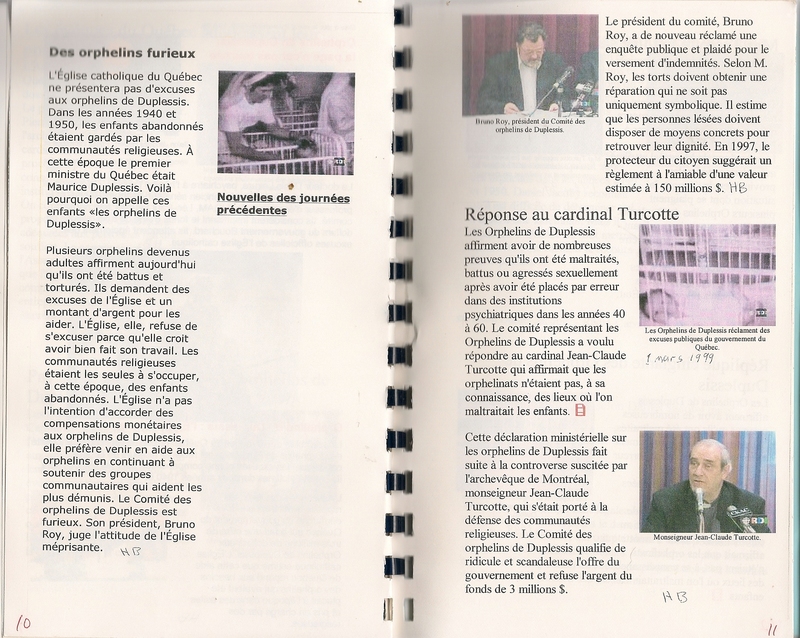 On y retrouve des documents sur l’établissement, le personnel laïc, religieux, médical et d’entretien, les bénéficiaires, les divers comités et conseils, tel le Comité de la mortalité périnatale, le Comité de pharmacologie, le Conseil des médecins et le Conseil local. Il y a également de la documentation relative à l’histoire de l’établissement, aux services offerts, à sa corporation, à sa fermeture, à ses relations avec l’Université Laval, entre autres, et des statistiques diverses. Ces différentes informations sont comprises à l’intérieur de la correspondance, des procès-verbaux, des archives médicales, des coupures de presses, des mémoires, des listes, des lettres patentes, des registres et des rapports annuels. Cette série comprend de la correspondance et des listes du personnel en relation avec les accréditations ; la correspondance de Sœur Marie-Jeanne Desgagné au sujet de l’assurance-hospitalisation, des salaires des religieuses avant 1961, et autres ; des procès-verbaux et des plans traitant du projet de construction ; enfin, des annales, de la correspondance et un contrat relatif aux accords convenus avec le Séminaire de Québec. Cette série contient de la correspondance, des bulletins d’informations, des circulaires des rapports divers, des procès-verbaux, des règlements, des états financiers, des coupures de presse et des rapports annuels en relation avec le premier service social pour la mère célibataire inauguré à l’hôpital par sœur Marie-Laetitia en 1952, c’est-à-dire son fonctionnement, son incidence et ses préoccupations. Ces photographies représentent le personnel religieux et médical de l’établissement de même que les différents bâtiments qui ont abrité l’œuvre. Les dossiers de bénéficiaires datant de 1961 à 1972 sont au M.S.S.S. (1075, chemin Ste-Foy, Québec, G1S 2M1), ceux d’avant ont brûlé, et certains dossiers des personnes adoptés sont au Centre jeunesse de Québec. Ce fonds permet de bien saisir le fonctionnement d’un établissement de santé voué aux mères célibataires à une époque où ces femmes étaient jugées sévèrement par la population et la religion. Il est fort intéressant puisque les documents qu’il contient suivent adéquatement l’évolution de l’Hôpital de la Miséricorde depuis ses premières années d’existence. Les nombreux procès-verbaux nous divulguent des décisions des différents comités et conseils sur l’orientation médicale et sociale de l’œuvre. L’abondante correspondance, quant à elle, témoigne des préoccupations et de l’implication des principaux intervenants et dirigeants de l’hôpital au sujet des réalités de leur époque respective. Cela se rapporte, entre autres, à la construction et à la réparation des édifices qui ont abrité l’œuvre, à des demandes aux conseils provincial et général, à l’Association des Hôpitaux de la province de Québec, etc. Un instrument de recherche est à la disposition des chercheurs pour faciliter la consultation des divers documents. Aux Archives nationales du Québec, dans le fonds du ministère de la santé et des services sociaux, dans la série Hôpitaux, il y a des documents d’archives qui concernent cet hôpital pour les années 1966 à 1969. Archives de la communauté des Sœurs du Bon-Pasteur. BERNIER, Jacques. La médecine au Québec : Naissance et évolution d’une profession. 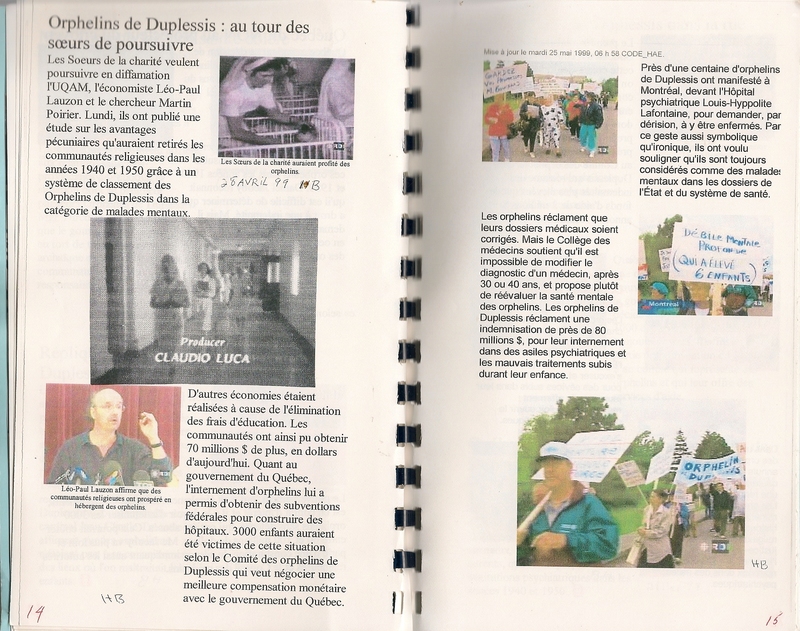 Québec, Presses de l’Université Laval, 1989, p. 106-107. BOISSONNAULT, Charles-Marie. Histoire de la Faculté de médecine de Laval. Québec, Presses de l’Université Laval, 1953. 438 p.
CHABOT, Denis. Liste des établissements fermés ou changés de vocation, janvier 2000. Québec, ministère de la Santé et des Services sociaux, Service des ressources documentaires, 50 p.
Conférence catholique canadienne. Département d’action sociale. Les hôpitaux dans la province de Québec : Listes complètes, statistiques, associations, assurance-hospitalisation, documents divers. Ottawa, Conférence catholique canadienne, 1961. 103 p. Coll. « Documentation sociale. Série Hôpitaux ; no 1 ». GAGNON, France. Transitions et reflets de société dans la prise en charge de la maternité hors-norme : L’exemple de l’Hospice Saint-Joseph de la Maternité de Québec, 1852-1876. Mémoire de maîtrise, Sainte-Foy, Université Laval, 1994. 110 p.
FORTIER, de la Broquerie. « Les « enfants trouvés » en collectivité à Québec, 1850-1950 ». Laval médical, vol. 36, no 4 (avril 1965), p. 351-359. Instrument de recherche du fonds de l’Hôpital de la Miséricorde. 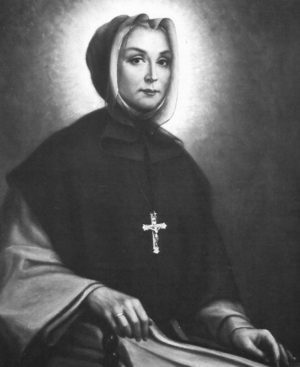 Sœur Marie-Laetitia, Histoire de l’hôpital de la Miséricorde. Thèse (de diplôme), Ste-Foy, Université Laval, 1948. 37 f.
Cet hôpital psychiatrique fut fondé en 1845 par les docteurs James Douglas, Joseph Morrin et Charles-Jacques Frémont. Ces trois médecins en étaient les propriétaires, bien que les fonds nécessaires à son fonctionnement venaient essentiellement du gouvernement. À l’époque, il se nommait l’Asile provisoire de Beauport, et était installé dans le manoir du premier médecin de la colonie, le Seigneur Robert Giffard. Il s’agissait du premier hôpital destiné uniquement aux malades mentaux dans la province. En 1850, l’asile se nomme désormais Quebec Lunatic Asylum, mais la plupart des gens continuent à le nommer Asile de Beauport. Puis, en 1865, son nom change de nouveau et devient l’Asile des aliénés de Québec. Un an plus tôt, l’asile a été agrandi et peut, depuis lors, recevoir 900 patients. En 1893, les Sœurs de la Charité de Québec en prennent possession et le mettent sous la protection de l’archange Saint-Michel. Ainsi, en 1912, il devient l’Asile Saint-Michel-Archange puis, en 1914, ou 1923 selon certaines sources, l’Hôpital Saint-Michel-Archange. En 1904-1905 et en 1910-1912, on effectue des travaux d’agrandissement. En 1915, une école des infirmières est établie par sœur Saint-Calixte. En 1924, l’hôpital est affilié à l’Université Laval. Quelques constructions voient le jour aux cours des années 1920 et au début des années 1930, soit la Clinique Roy-Rousseau (1926), l’École La Jemmerais (1928) et le Pavillon Dufrost (1931). Chacune de ces constructions a une fonction particulière et dessert une clientèle spécifique. En 1939, la quasi-totalité de l’Hôpital Saint-Michel-Archange est la proie d’un incendie, il ne subsistera que l’aile des hommes qui deviendra le pavillon Saint-Calixte. L’École La Jemmerais cesse alors son œuvre pour héberger les patients de l’hôpital incendié et en devient une annexe. L’hôpital sera reconstruit aux côtés de la Clinique Roy-Rousseau. L’établissement devient le Centre hospitalier Robert-Giffard en 1976. 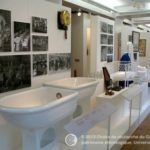 La galerie conserve de nombreuses photographies qui représentent l’édifice et ses salles, les membres du personnel, les patients, les soins et les traitements de même que les événements spéciaux qui ont marqué l’établissement. Ces nombreuses photographies seront traitées au cours de l’été 2001, ainsi il sera plus aisé d’en connaître le contenu exact et les restrictions qui s’y rattachent compte tenu de la confidentialité de certaines photographies. Les différents documents d’archives regroupent des rapports annuels de 1872 à 1928, le contrat d’apprentissage de James Douglas, des diplômes et promotions d’infirmières de 1922 à 1971, des registres d’admissions, de décès, de décharges, de chirurgie et de salaire, des index, des procès-verbaux de réunions, des factures d’équipement médical, des manuscrits, des aperçus historiques, des articles médicaux et autres, des notes de cours et des textes relatifs à l’hôpital. Il est également possible d’avoir de l’information, produite ou reçue au centre, concernant les principaux médecins qui sont intervenus dans l’établissement. Les plans n’ont pas encore été traités, aussi nous ne savons pas quel est leur nombre exact. Toutefois, nous savons qu’ils concernent les différentes physionomies de l’établissement tout au long de plus de 150 ans d’existence. L’exposition permanente de la Galerie historique Lucienne-Maheux présente de nombreux objets ayant été utilisés dans l’établissement. Il y a des tableaux, des photographies, des reconstitutions des salles d’opérations, de repos et autres. Il y a également des mosaïques des différentes promotions d’infirmières (1945-1970). Ces enregistrements concernent divers événements entourant l’établissement, notamment l’incendie de 1939 qui a ravagé une large partie de l’hôpital et des scènes de la vie quotidienne. L’archiviste de la galerie historique précise que certaines archives se retrouvent dans diverses sections du Centre hospitalier Robert-Giffard ou ailleurs et n’ont pu, jusqu’à maintenant, être rassemblées à la Galerie historique Lucienne-Maheux. Le fonds conservé à la communauté des Sœurs de la Charité de Québec renferme plusieurs documents qui concernent l’historique de l’établissement depuis 1865 et de ces divers pavillons. On y retrouve les annales, les états financiers, les rapports annuels, des renseignements sur des événements et des projets particuliers, des plans d’organisation, des informations sur le personnel, des contrats, des procès-verbaux, de la correspondance, des documents divers sur l’école des infirmières, les emprunts, les obligations et les comptes, des cahiers de prônes, des revues et des journaux internes, des registres, des rapports financiers, des documents sur les divers comités, etc. Le fonds du ministère de la Santé et des Services sociaux contient, dans la série hôpitaux, de la correspondance échangée entre le ministère et cet établissement de santé couvrant la période suivante : 15 octobre 1926 au 20 décembre 1949. Il y a également l’album-souvenir de 1949 et le rapport annuel de l’année 1958. La série service médical aux aliénés renferme, pour sa part, de nombreux documents sur cet établissement et plusieurs autres institutions psychiatriques de la province : des dossiers d’admissions, des registres, de la correspondance, etc. Il est à noter que de nombreuses restrictions à la consultation s’appliquent pour la majorité des documents conservés à l’intérieur de cette série. D’autres séries de ce fonds contiennent des pièces relatives à cet hôpital. Enfin, dans le fonds Secrétariat de la province (E4), on retrouve, en particulier, des dossiers d’admission (1845-1866), de la correspondance (1845-1879, 1892-1895), des livres de comptes (1845-1879), des rapports hebdomadaires (1847-1866) et des rapports mensuels (1850-1854). 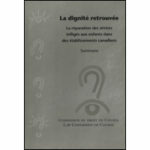 Les divers documents conservés à la galerie historique et à la communauté des Sœurs de la Charité de Québec apportent des précisions sur la naissance et les progrès de la psychiatrie au Québec, la vie quotidienne des malades, des religieuses, des médecins et du personnel, l’évolution des soins et des traitements psychiatriques, les événements spéciaux tenus à l’hôpital, les activités d’enseignement et de recherche, etc. Ils apportent également des précisions sur l’implication des religieuses dans l’hôpital. Aussi, ces fonds d’archives sont fort pertinents pour comprendre l’évolution de la psychiatrie et d’un établissement qui a voué son existence à cette spécialité médicale. Il est également possible d’avoir quelques renseignements sur des patients illustres tel Louis Riel et Émile Nelligan. Le Centre hospitalier Robert-Giffard dispose également d’une collection de livres rares et anciens portant sur la médecine et la psychiatrie. Sur rendez-vous à la communauté des Sœurs de la Charité de Québec et à la Galerie historique Lucienne-Maheux, et aux heures d’ouverture aux Archives nationales du Québec. La galerie historique et la communauté des Sœurs de la Charité de Québec ne disposent pas, pour le moment, d’instruments de recherche. Cependant, le chercheur peut recourir aux services de l’archiviste. Aux Archives nationales du Québec, le chercheur peut recourir à un instrument de recherche mis à sa disposition, il s’agit du Répertoire numérique du fonds Ministère de la santé et des services sociaux (E8) rédigé par Rachelle Blackburn. Il peut aussi consulter le Répertoire numérique du fonds du Secrétariat de la Province (E4), rédigé par Monique Laurent. Certaines archives sont sujettes à des restrictions de consultation compte tenu de leur caractère privé et confidentiel. La sous-série Conseil et comités du fonds de la ville de Québec, conservée aux Archives de la ville de Québec, contient des documents d’archives qui concernent l’Hôpital Saint-Michel-Archange. Un répertoire numérique est mis à la disposition du chercheur pour l’aider dans ses recherches, soit le Répertoire numérique détaillé de la sous-série Conseil et comités du fonds de la Ville de Québec. BERNIER, Jacques. La médecine au Québec : Naissance et évolution d’une profession. Québec, Presses de l’Université Laval, 1989. xi-207 p.
BOUCHARD, Daniel. L’état et l’administration des institutions asilaires au Québec 1845-1895. 1985. vi-216 f.
GOSSELIN, Camille. Histoire de la médecine 1. Le développement du réseau hospitalier de la région de Québec : L’année, les raisons de fondation et l’évolution des hôpitaux de la région de Québec. Sainte-Foy, Université Laval, 1994. 123 p.
HARVEY, Fernand et, Rodrigue SAMUEL. Matériel pour une sociologie des maladies mentales au Québec. Québec, Institut supérieur des sciences humaines, Université Laval, 1974. xiii-143 p. Coll. « Cahiers de l’ISSH. Collection Instruments de travail ; no 15 ». KEATING, Peter. La science du mal : L’institution de la psychiatrie au Québec, 1800-1914. Montréal, Boréal, 1993. 208 p.
MARTIN, Charles-Alfred. Le premier demi-siècle de la psychiatrie à Québec : De l’asile provisoire de Beauport à l’Hôpital St-Michel-Archange. Beauport, Audio-visuel et information, Centre hospitalier Robert-Giffard, 1983. 24 p.
ROY, Francine, Yvonne WARD, s.c.q., et Nive VOISINE. Histoire des Sœurs de la Charité de Québec, tome II : Des maisons de charité. Beauport, Publications MNH, 1998. 305 p.
WALLOT, Hubert. La danse autour du fou: Survol de l’histoire organisationnelle de la prise en charge de la folie au Québec depuis les origines jusqu’à nos jours. Beauport, Publications MNH, 1998. 2 volumes. Centre d’archives de Québec, Fonds Ministère de la Culture et des Communications. La Clinique Roy-Rousseau ouvre officiellement ses portes le 1er juillet 1926. Le but premier de sa construction était de remédier au surpeuplement de l’Hôpital Saint-Michel-Archange, mais la clinique se spécialisera, plutôt, dans le dépistage et le traitement des maladies mentales et des affections neurologiques. Sa dénomination est un honneur rendu à Mgr Camille Roy, recteur de l’Université Laval, et au Dr Arthur Rousseau, doyen de la Faculté de médecine de l’Université Laval, puisqu’ils en ont promu la réalisation. C’est en janvier 1927 que la clinique reçoit ses premiers patients. Elle a une capacité de 200 lits. La clinique est affiliée à l’Université Laval, aussi elle comprend un centre d’hébergement pour les étudiants en médecine et les infirmières. En juillet 1927, l’école des gardes-malades, fondée à l’Hôpital Saint-Michel-Archange en 1915, y a été transférée. Puis, en 1964, la Clinique Roy-Rousseau est incorporée suivant la législation des hôpitaux avec un conseil d’administration formé de laïcs et de religieuses. En 1996, la clinique fusionne avec le Centre hospitalier Robert-Giffard. 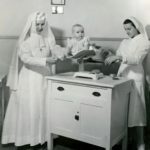 Ce fonds renferme les annales de la clinique tenues par les religieuses, des informations sur les comités et conseils, des renseignements sur l’histoire de l’établissement, des photographies, des plans, des rapports annuels, des procès-verbaux, des statistiques financières, des états financiers, divers règlements, des documents en relation avec la corporation, des lettres patentes, des rapports financiers et des documents divers relatifs à la clinique. Le fonds du ministère de la Santé et des Services sociaux contient, dans la série hôpitaux, de la correspondance échangée entre le ministère et cet établissement de santé couvrant la période suivante : 18 juillet 1927 au 13 juin 1944. Il y a également des rapports annuels concernant les années 1959 et 1962. La série service médical aux aliénés renferme, pour sa part, de nombreux documents sur cet établissement et plusieurs autres institutions psychiatriques : des dossiers d’admissions, des registres, de la correspondance, etc. Il est à noter que de nombreuses restrictions à la consultation s’appliquent pour la majorité des documents conservés à l’intérieur de ce fonds. 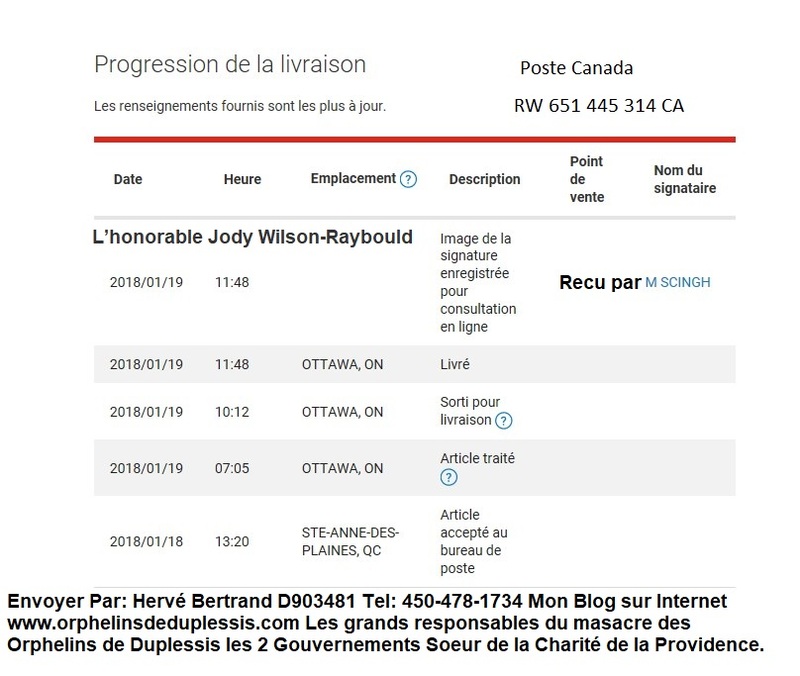 Ces documents d’archives permettent d’entrer en contact avec la Clinique Roy-Rousseau et son mode de fonctionnement. Les annales et les nombreux procès-verbaux de différents comités sont fort pertinents pour saisir la nature et le rôle de la clinique indépendamment et en collaboration avec l’Hôpital Saint-Michel-Archange, puis le Centre hospitalier Robert-Giffard. Les statistiques financières et les états financiers s’avèrent être des outils fort utiles pour bien comprendre l’administration de cette clinique. Sur rendez-vous à la communauté des Sœurs de la Charité de Québec et aux heures d’ouverture aux Archives nationales du Québec. La communauté des Sœurs de la Charité de Québec ne dispose pas, pour le moment, d’instruments de recherche pour ce fonds. Cependant, le chercheur peut recourir aux services de l’archiviste. Aux Archives nationales, un instrument de recherche est disponible, il s’agit du Répertoire numérique du fonds du Ministère de la santé et des services sociaux (E8), rédigé par Rachelle Blackburn. 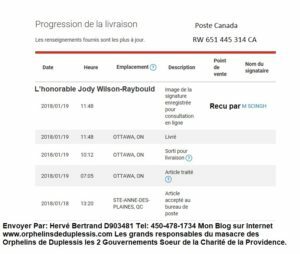 Certains documents concernant la Clinique Roy-Rousseau se retrouvent à la Galerie historique Lucienne-Maheux du Centre hospitalier Robert-Giffard, confondus avec les archives de l’hôpital psychiatrique. Le chercheur peut recourir aux services de l’archiviste. Après plusieurs années de valse-hésitation, le pavillon Roy-Rousseau sera démoli d’ici la fin de l’été 2014, confirme l’Institut universitaire en santé mentale de Québec (IUSMQ). Le vieux bâtiment de cinq étages qui totalise près de 8000 mètres carrés et a longtemps abrité la clinique Roy-Rousseau, est désaffecté depuis juillet dernier. Ses derniers occupants ont été le CSSS de la Vieille-Capitale et le Centre de réadaptation en déficience intellectuelle de Québec pour de l’hébergement transitoire. «Cela fait au moins trois ans que l’Institut n’a plus d’activités au pavillon Roy-Rousseau. L’Agence de santé de Québec le ministère de la Santé ont déclaré le bâtiment excédentaire pour les besoins de l’Institut et ceux de la région», précise le porte-parole de l’IUSMQ, François Giroux. En 1901, les Sœurs du Bon-Pasteur fondent une crèche sur la rue St-Amable, l’Hospice de Bethléem, destinée aux enfants illégitimes dont ceux qui sont nés à l’Hospice de la Miséricorde. L’année suivante, l’œuvre des religieuses déménage à la même adresse que l’Hôpital de la Miséricorde. Puis, en 1908, elle se fixe définitivement sur le chemin Ste-Foy dans la propriété qu’un insigne bienfaiteur, M. L.A. Robitaille, a acquis de la succession Hethrington et a cédé à la communauté du Bon-Pasteur. Le 6 juillet 1908, 6 religieuses, 26 bonnes et 125 bébés déménagent de la rue Ferland au chemin Ste-Foy. C’est le 8 août de la même année que son nom devient Hospice Saint-Vincent de Paul, et, en 1915, le nom change de nouveau pour devenir, jusqu’en 1972, la Crèche Saint-Vincent de Paul. À compter de l’année 1905, le Dr René Fortier y exerce son art acquis outre-mer, principalement en pédiatrie. À son décès, en 1929, le Dr Albert Jobin assure sa succession. La crèche progresse et se développe au fil des ans grâce à des dons, fruits des campagnes publicitaires, et aux subventions du gouvernement provincial. En 1924, un cours régulier post-universitaire en puériculture est inauguré, c’est un cours pour les futurs hygiénistes de la province. Vingt-quatre ans plus tard, en 1948, l’École de Puériculture est inaugurée grâce au docteur Donat Lapointe, qui occupe la direction médicale depuis 1937. Au début des années 1930, les religieuses de la crèche cherchent à intensifier les adoptions des enfants. C’est ainsi que l’abbé Victorin Germain est appelé à s’occuper de cette œuvre particulière et devient le directeur du Service des Adoptions. Dès lors, diverses publicités encourageant l’adoption voient le jour et portent fruit, puis, en 1943, l’œuvre de Mgr Germain est désignée sous le nom légal de La Sauvegarde de l’Enfance. L’œuvre déménagera en mars 1949 au 43 de la rue d’Auteuil. La crèche a joué un rôle de premier plan en ce qui concerne l’enseignement de la médecine infantile et de la pédiatrie. Son œuvre prendra fin en décembre 1972. Cette série rend compte des activités de la communauté des Sœurs du Bon-Pasteur. Cette série donne accès à tout ce qui concerne la crèche : les bénéficiaires, l’administration, les associations, les bienfaiteurs, le Bureau médical, etc. Ce sont divers documents qui permettent d’élucider le fonctionnement de cet établissement et de mieux saisir l’importance du secours aux enfants dits illégitimes. Cette série fournit des informations sur les assemblées du Conseil local de même que sur les conseils provincial et général. Elle contient également des documents qui concernent les employés, le personnel laïc et religieux, et les terrains. On retrouve aussi des statistiques sur l’établissement. Cette série renferme des documents sur l’œuvre de Mgr Germain quant à l’adoption des enfants de la crèche. Elle comprend divers écrits publicitaires, des cahiers de chants, des volumes, des chroniques de la crèche et des coupures de journaux. Aussi, cette série contient des textes variés sur l’œuvre de Mgr Germain, sur l’Association catholique des hôpitaux et sur les enfants trouvés ainsi que de la correspondance, surtout au sujet des anniversaires de la crèche. Cette petite série comporte des coupures de presses, des mémoires, de la correspondance, des circulaires, un contrat, les annales, l’album du centenaire et des procès-verbaux. On y traite de son incorporation en 1943, de même que des diverses décisions prises par les Assemblées générales. À l’intérieur de cette série, nous retrouvons de la correspondance, le programme et l’allocution lors de l’ouverture de l’école et de sa fermeture, des documents relatifs aux associations et aux commissions des puéricultrices et des gardes-bébés, une pièce sur les dépenses, des listes de cours et d’étudiantes, de la correspondance diverse, des statistiques, des procès-verbaux, etc. Cette série concerne les œuvres de la communauté qui ont suivi la fermeture de la crèche en Ouganda, à Handico, un centre de consultation sur les nouvelles religions, etc. Ces photographies représentent les bienfaiteurs de l’œuvre, le personnel religieux et laïc de l’établissement, les enfants, non-identifiés, qui y ont séjourné et les puéricultrices formées à l’École de Puériculture. Il y a également des photographies des bâtisses qui l’ont abritée de même que des différentes salles qui les composaient. Le fonds du ministère de la Santé et des Services sociaux contient, dans la série hôpitaux, de la correspondance échangée entre le ministère et cet établissement de santé couvrant les périodes suivantes : 14 novembre 1921 au 9 novembre 1929 et 17 janvier 1930 au 27 novembre 1946. La série Crèche Saint-Vincent-de-Paul; Children Service Center; Council for Overseas Children (Report) est composée des dossiers administratifs et comptables de la crèche pour les années 1951 à 1973. On y retrouve des procès-verbaux, des lettres patentes, le journal général, le journal-caisse, le journal-salaire et des informations sur l’École de Puériculture. Il est à noter que de nombreuses restrictions à la consultation s’appliquent pour la majorité des documents conservés à l’intérieur de ce fonds. Ce fonds d’archives contient un grand nombre de renseignements sur le développement de la pédiatrie et de la puériculture dans la ville de Québec. D’autre part, il est incontournable pour quiconque voudrait rendre compte du sort réservé aux orphelins, aux enfants illégitimes ou aux enfants pauvres tout au long du XXe siècle. Il est également question de l’œuvre de Mgr Victorin Germain envers ces enfants démunis ainsi que de l’adoption de certains d’entre eux. Il renferme aussi une documentation fertile sur le rôle de la communauté des Sœurs du Bon-Pasteur dans le fonctionnement administratif et médical de l’œuvre. Le Centre jeunesse de Québec conserve des dossiers médicaux, pour certaines années, des enfants qui sont passés par la Crèche Saint-Vincent de Paul, donc qui sont nés à l’Hôpital de la Miséricorde ou dans une autre maternité de la ville de Québec. La consultation de ces dossiers est soumise à la Loi de l’adoption et à la Loi de la santé et des services sociaux. 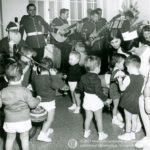 La sous-série Conseil et comités du fonds de la ville de Québec, conservée aux Archives de la ville de Québec, contient des documents d’archives qui concernent la Crèche Saint-Vincent de Paul. Un répertoire numérique est mis à la disposition du chercheur pour l’aider dans ses recherches, soit le Répertoire numérique détaillé de la sous-série Conseil et comités du fonds de la Ville de Québec. « En 1832, il y a construction de l’Hôpital de la Grosse-Île. En prévision de l’épidémie de choléra qui sévit dans les Îles britanniques, un hôpital et des hangars sont érigés par des ingénieurs du roi à la station de quarantaine de la Grosse-Île qui est mise sous occupation militaire. » (Goulet et Paradis, 1992). Plusieurs bâtiments furent construits lors de l’épidémie de typhus de 1847. Un hôpital d’une capacité de 100 lits est construit sur la Grosse-Île en 1880-1881. Un incendie l’a ravagé en 1968. Un autre hôpital est construit dans les années 1910, non loin de l’hôpital de 1881. Il a une capacité de 250 lits, et doit être consacré au traitement des personnes atteintes de maladies contagieuses. Les annuaires de Québec relèvent cet hôpital sous le nom de Quarantine Station jusque dans les années 1930. La Conférence catholique canadienne mentionne d’ailleurs l’existence d’un hôpital du nom de St. Lawrence Quarantine Station en 1961. C’était un hôpital fédéral pour les contagieux qui comptait alors 7 lits et le directeur médical était le docteur J. M. Couillard. Certains registres sont conservés en bon état à la Gare maritime Champlain, il s’agit des documents suivants : Register of Deaths in Quarantine (1866-1903), Register of Births (1869-1875), Hospital Admission Book (1878-1894), Admission Book (1895-1912), Annual Report of Sick admitted during season 1913 at Quarantine Hospital, Supplement Western Division, Quarantine Ledger Grosse Isle 1913-1921. Il est à noter que des restrictions de consultation sont en vigueur concernant ces documents. Les documents conservés à la Gare maritime Champlain sont des registres de malades ; les informations contenues sont davantage de nature quantitative que qualitative. Des restrictions de consultation sont en vigueur pour les documents conservés à la Gare maritime Champlain. La sous-série Hôpital Civique de la série Santé et salubrité du fonds de la Ville de Québec renferme des rapports journaliers de cas de choléra, des rapports hebdomadaires et de la correspondance de l’Hôpital de la Grosse-Île et de la Marine pour l’année 1849, année où sévit une épidémie de choléra. Un répertoire numérique est mis à la disposition du chercheur pour l’aider dans ses recherches, soit le Répertoire numérique détaillé de la série Santé et salubrité du fonds de la ville de Québec. En 1920, les sœurs de la Providence ont la charge des enfants déficients mentaux qui logent à l’hôpital Louis-H. Lafontaine (anciennement nommé Saint-Jean-de-Dieu). C’est à l’intérieur des murs de cet hôpital qu’elles créent l’École Gamelin qui reçoit, en 1930, 72 enfants. Cinq ans plus tard, l’école accueille 200 enfants. En 1938, les sœurs poursuivent leur œuvre en créant une école normale spécialisée qui devient l’Institut médico-pédagogique Tavernier. Vers 1946, les soeurs, avec l’aide de l’État, entreprennent la construction d’un centre pour déficients mentaux, l’hôpital Rivière-des-Prairies, qui se nomme à cette époque le Mont-Providence. Le territoire environnant n’est pas encore urbanisé. La seule voie de desserte est le boulevard Gouin Est qui est situé à grande distance de l’institution. L’imposant bâtiment est complété en 1947 et loge jusqu’à 1000 enfants. De 1950 à 1962, le Mont-Providence dispense l’enseignement aux enfants déficients légers. Des pédagogues de l’enfance inadaptée sont formés au sein de l’institution. 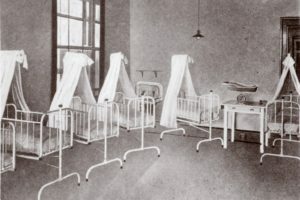 Les enfants qui logent à l’hôpital viennent de l’hôpital Louis-H. Lafontaine ou de crèches. Certains sont confiés par des familles. 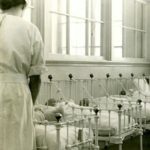 En 1954, 603 enfants vivent à l’hôpital. 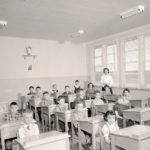 En 1962, l’institution connaît un virage important car les soeurs doivent renoncer à l’enseignement. L’institution héberge dorénavant des cas de psychiatrie lourde qui atteignent, à l’époque, jusqu’à 1178 personnes. En 1969, s’amorce un démembrement progressif de l’asile et une volonté d’ouvrir davantage l’institution sur la collectivité. En 1975, le centre de santé mentale a la charge de 2000 enfants et adolescents dont 700 sont hospitalisés à cause de leur pathologie psychiatrique. Ce sont les Soeurs de la Providence oeuvrant auprès des enfants depuis 1920, qui ont été les pionnières dans les méthodes thérapeutiques d’enseignement destinées aux enfants présentant des troubles de santé mentale. Enchantées des résultats, elles ont envoyé les religieuses se former aux méthodes américaines. L’École Gamelin où elles prodiguaient leurs soins ouvre dans un local de l’hôpital Saint-Jean-de-Dieu et se profile comme l’ancêtre des unités pédopsychiatriques que l’on connaît aujourd’hui. Ce milieu scolaire se verra octroyer une mission unique avec la création en 1956 de l’hôpital du Mont-Providence qui deviendra éventuellement l’hôpital Rivière-des-Pairies. À cette époque, plus de 23 % des admissions dans l’ensemble des hôpitaux psychiatriques du Québec sont constituées de patients de moins de 20 ans. En 1960, c’est l’époque de grandes effervescences à beaucoup de niveaux dans notre société et un peu partout dans le monde. La découverte des neuroleptiques, les promesses de la psychothérapie, le développement de la psychiatrie poussent la remise en question de l’organisation traditionnelle de l’hôpital psychiatrique. 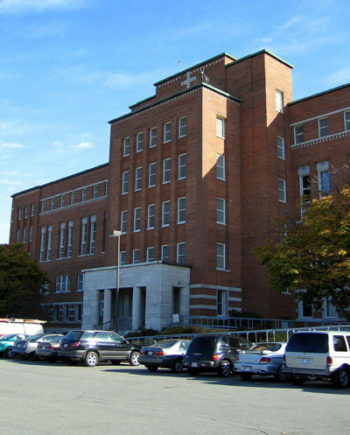 Au Nord de la ville, à l’Hôpital du Sacré-Coeur, le docteur Camille Laurin avait pris la direction de l’Institut Albert-Prévost qui devint affilié à l’Université de Montréal en 1958. Il invita donc en 1964, le docteur Ernest Tétrault, qui venait de compléter à Boston sa formation analytique, à fonder à même l’Institut un service de psychiatrie pour enfants et adolescents. Se joignirent à lui Docteure Alexandris et Docteur Buies. Dre Alexandris prit en charge la clinique ambulatoire dans la Maison Rouge et Docteur Buies s’occupa des adolescents hospitalisés dans un petit pavillon qui devint en 1966 le Centre des Adolescents (CDA), premier lieu de traitement adopsychiatrique à Montréal. Cette même année se joignit au groupe le docteur Jean Bossé, fraîchement revenu de Paris avec une vision imprégnée de cette nouvelle approche de la pathologie mentale mise de l’avant par Serge Lebovici et Philippe Paumelle dans le 13e arrondissement. Cette façon de faire souhaitait donner à toute personne enfant ou adulte souffrant d’un trouble mental une alternative au confinement asilaire. Le docteur Bossé implanta dès son arrivée la première clinique de secteur de l’ouest de Laval. Il était convaincu qu’« une psychiatrie infantile éclairée et compétente était une prévention pour l’adulte de demain ». Pendant ce temps, au Mont-Providence, toujours opéré par les Soeurs de la Providence, on se voit imposer le rôle de garderie, d’hébergement de cas très lourds, sans avenir prévisible, venant de tout le Québec. En 1961, il y a 1178 enfants au Mont-Providence. Cette même année, les Soeurs de la Providence, comme autorités de l’Hôpital, fournissent un témoignage à la Commission d’étude des hôpitaux psychiatriques. Très succinctement et très sobrement, elles expliquent leurs démarches débutées dans les années 1920 et pendant plus de trente ans avec des méthodes thérapeutiques d’enseignement visant à favoriser la désinstitutionnalisation, ou encore mieux la non-institutionnalisation des enfants placés en asile. Elles terminent en soulignant leur regret que le but premier de leur Institution ait été virtuellement sacrifié quand le Mont-Providence est devenu un hôpital psychiatrique (pour une histoire plus détaillée voire l’article de Hubert Wallot dans ce même volume). L’hôpital Rivière-des-Prairies reçoit en 1969 son nom d’une nouvelle Corporation et d’un nouveau Conseil d’administration. Il prend ainsi la place de l’Hôpital psychiatrique Mont-Providence (1954-1969) lui-même créé sur les cendres de l’Institut Médicopédagogique Mont-Providence, premier occupant de la bâtisse en 1950. 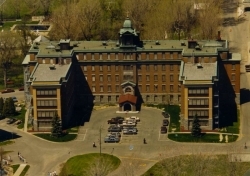 Ces deux dernières institutions sont gérées, comme l’Hôpital psychiatrique Saint-Jean-de-Dieu, par les Soeurs de la Providence sous un Concordat Église-État établi depuis la fin du 19e siècle. Une relecture de l’histoire de nos asiles, du développement d’un hôpital psychiatrique pour enfants, porte clairement à penser que ce sont ces religieuses qui, les premières, ont proposé au Québec des méthodes novatrices et un plan d’action efficace pour amener la désinstitutionnalisation d’enfants placés injustement en asile. Dans cette foulée, on crée la Commission des hôpitaux psychiatriques (Dr Dominique Bédard) dont un des principaux commissaires, Dr Denis Lazure, deviendra en provenance de l’hôpital Sainte-Justine, le premier directeur général, laïque, de l’hôpital Rivière-des-Prairies. Homme de gauche qui, dans les années 1950, se faisait interdire l’entrée aux États-Unis, parce qu’il avait voyagé dans les pays de l’Est. « Médecin et militant » aurait été un titre plus approprié que « médecin et citoyen », titre de son livre (2002) pour qualifier la vie de ce psychiatre qui ne cache pas son admiration pour le Dr Norman Bethune et la syndicaliste Madeleine Parent. Un des principaux artisans de la révolution en psychiatrie des années 1960, instigateur de la première garderie en milieu de travail à l’hôpital Rivière-des-Prairies, il a été ministre des Affaires sociales dans le gouvernement Lévesque, avec à son crédit le développement du réseau des garderies et la mise en place des « cliniques Lazure » pour l’avortement thérapeutique différents programmes spécifiques de réadaptation. À l’Hôpital Rivière-des-Praires, le premier directeur laïc Dr Lazure se retire en 1975. Dr Jacques Mackay, son remplaçant pour les 25 prochaines années, va assurer la continuité, mais aura à gérer les « effets secondaires » du vieillissement naturel d’une population très handicapée, résistante aux « bienfaits de la sectorisation ». Il doit mettre fin à une certaine mixité et séparer les enfants des autres qui sont devenus adultes et occupent plus de 300 lits. Cette situation paradoxale, embarrassante, une sorte de répétition de ce qu’ont vécu les religieuses dans les années 1950, va permettre la réalisation la plus marquante, pour bien des observateurs, de la période Mackay. Il s’agit de la création, aux frais de l’Hôpital (et donc de ses nombreux lits), d’un important service de recherche en santé mentale de l’enfant. Concerné surtout au début par l’épidémiologie avec sa participation remarquée à l’enquête Santé-Québec, ce service prend progressivement de l’assurance, se diversifie et devient un pôle majeur en pédopsychiatrie. chut ! dépêche-toi d’aller te laver. tu le sauras quand ça sera le temps. Tout autour d’elle respire le mystère. C’est ainsi que commence l’histoire émouvante des enfants De Duplessis dans le livre écrit par Paul Gill. qui, considérés comme « non éducables » furent enfermés dans des asiles. c’est à la télévision qu’on les désigna pour la première fois par cette expression, sans doute parce que le début de cet exode des enfants de la crèche vers les asiles a coïncidé avec l’arrivée au pouvoir de Maurice Duplessis. Ali Les enfants De Duplessis est un témoignage désarment de vérité.Il intéroge notre société, celle d’hier comme celle d’aujourd’hui. Ce livre me fut recommandé lors de mon voyage au Canada par une personne ayant eu connaissance de mon livre Où de mon livre Ou es-tu Maman? Les deux histoires étant évidement le fait de la guerre et de ses conséquences sur les enfants adultérins. 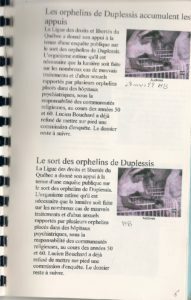 Les enfants De Duplessis éditions Libre Expression 1991; ISBN 2-89111-413-2Sous le règne de Duplessis, des enfants illégitimes sont étiquetés comme malades mentaux et internés dans des asiles. Ces « enfants du péché » sont victimes d’une manœuvre du gouvernement Duplessis afin d\’obtenir des subventions fédérales. 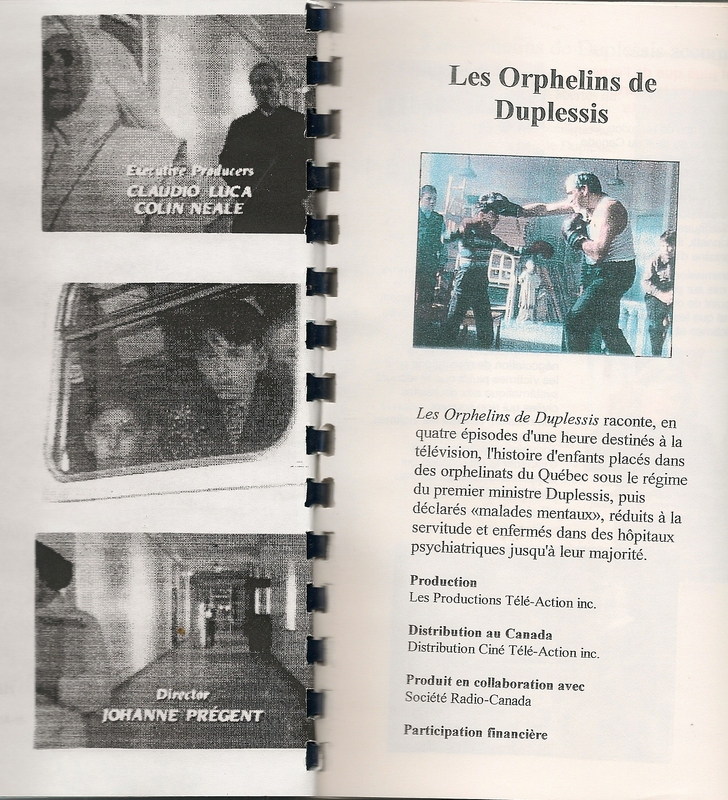 Au début des années 1990, les orphelins se mobilisent et réclament justice et réparation. Ils mènent un combat inégal pour sortir de l\’amnésie collective qu\’a longtemps entretenu la société québécoise à leur égard. Ils veulent enfin sortir de l\’anonymat, de la honte…Détail du livre :Alice Quinton brise enfin la loi du silence. Cette femme rescapée d\’un terrifiant cauchemar nous raconte tout sans rien dissimuler. C\’est à la télévision qu\’on utilisa pour la première fois l\’expression « les enfants de Duplessis ». On désignait ainsi les enfants illégitimes qui, au cours de la période dite de la « Grande Noirceur », se retrouvèrent dans des asiles d\’aliénés. Cet hébergement massif d\’orphelins en milieu psychiatrique coïncidait avec l\’arrivée au pouvoir de Maurice Duplessis… Alice Quinton se souvient de ses seize années « d\’emprisonnement ». Son enfance et son adolescence furent régies par les mots « sacrifices », « obéissance » et surtout « silence ». Car la règle du silence était sacrée : jamais un mot à personne des châtiments corporels, des « traitements » subis sous peine de s\’en voir infliger d\’autres bien pires encore. Alice grandira dans la crainte incessante d\’être prise en défaut, son petit corps encaissant tous les coups et retenant ses cris. Avec l\’angoisse aussi de devenir folle puisque condamnée à vivre avec des malades mentaux. Libérée en 1961, Alice retrouvera sa famille biologique et aura enfin droit au bonheur. Cette histoire vraie, racontée par Pauline Gill, une enseignante de Cégep qui a fait de nombreuses recherches pour retracer ce pan scandaleux de l\’histoire du Québec, est un témoignage bouleversant, d\’une grande intensité. The Duplessis orphans were wrong committed to mental institutions from the 1940s to the 1960s, suffering abuse, neglect and wrongly treated as mentally-ill patients. 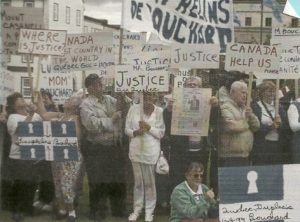 A journalist has asked the Quebec government to release its documents pertaining to the settlement reached with the orphans and was repeatedly denied. Quebec writer and journalist Daniel Tremblay is mired in a lengthy battle with the Quebec government to discover how it decided to compensate a generation of abused orphans. Nearly three years after he first filed access to information requests that were mostly denied, Tremblay is in court this week to contest the refusal and get his hands on thousands of pages of documentation. He’s seeking details regarding the Duplessis orphans, children who were abandoned or removed from their unwed mothers and placed in provincially funded, church-run orphanages. 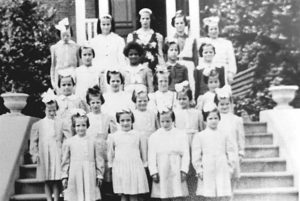 From the 1940s to the 1960s, the Quebec government under Maurice Duplessis and the Catholic Church transferred thousands of children to insane asylums or had the orphanages reclassified as mental health institutions, because those institutions would receive federal funding. Many of the children were abused, neglected or classified and treated as mentally ill patients. 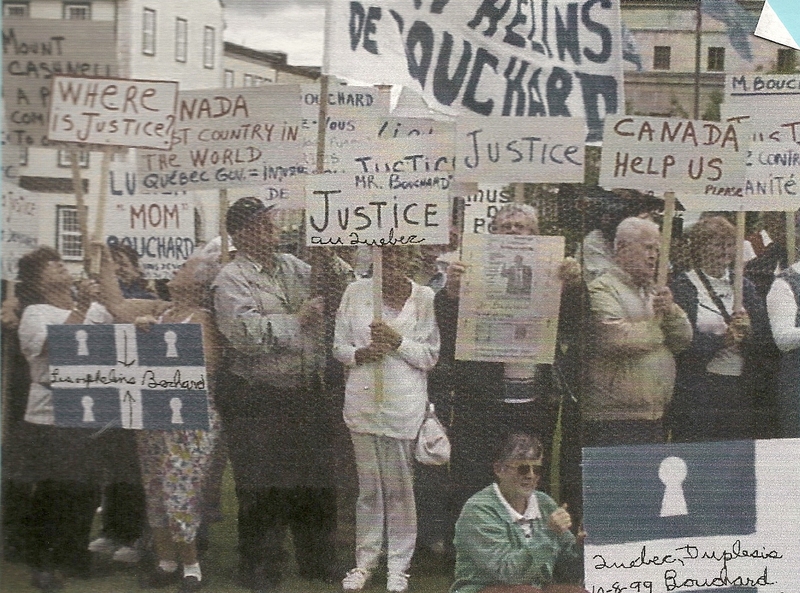 In 2001, the Quebec government finally paid 1,500 out of an estimated 3,000 surviving Duplessis orphans who banded together to reach a settlement on average of $25,000 each. In 2006, another $26 million was distributed, with the stipulation the orphans could not sue the Catholic Church. While the government apologized and paid the bill, religious organizations and medical practitioners who were implicated in classifying the orphans as mentally unstable did not. When Tremblay was writing a book on the abuse suffered by many of the 150,000 aboriginal children forced to attend residential schools by the Canadian government in the 1900s, many of the victims equated their suffering with that of the Duplessis orphans. But under the federal compensation program, some aboriginal victims of abuse received as much as $275,000, a Truth and Reconciliation Commission was established and religious groups and the government offered formal apologies in a very open process, Tremblay said. 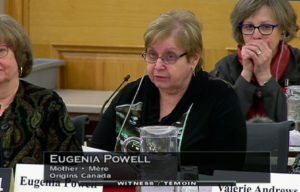 Which raised the question for Tremblay and the Comité des orphelins victimes d’Abus (COVA), which says it represents close to 30,000 orphans in the province: Why weren’t Quebec’s victims treated the same way? “We want to know: How did you calculate this compensation? What basis did you use to come to these numbers? Were the churches involved in the negotiations? And why were the orphans never consulted?” Tremblay added. In September 2009, Tremblay submitted access to information requests with four government bodies involved in the file: the Department of Employment and Social Solidarity, the Department of Justice, the treasury board and the executive council, the administrative branch of the premier’s office. Tremblay said he asked for the equivalent of 20,000 pages in documents that include transcripts of negotiations. A few months after his request, he received roughly 150 pages in documents, none bearing the information he was requesting. Access to other files was refused because the departments said they didn’t exist or were confidential or couldn’t be granted under the province’s access to information laws. Quebec prosecutor Marie-Josée Bourgeault, representing the Commission d’acces à l’information du Quebec, said Monday during the review hearings for Tremblay’s request that she preferred to reserve the government’s stance for her closing arguments, expected in the coming weeks. A decision on the review hearing is expected in the fall, Tremblay said. Situé à Franklin au sud-ouest de Montréal, l’histoire de l’ancien Institut Doréa,aujourd’hui abandonné, se raconte par petites bribes. Non pas que son récit soit empreint d’horreurs (quoi que…), mais plutôt qu’il est plutôt difficile de trouver de l’information véridique sur Internet. Dans un premier temps, il faut savoir qu’il se raconte beaucoup de trucs à son sujet. Pour les amateurs de Ouija et du film Ghostbusters, vous serez probablement heureux de savoir que plusieurs croient l’endroit hanté. Par contre, loin de moi l’idée de détruire vos illusions et vos envies d’aller y chasser le fantôme avec votre filet à papillons, mais durant les quatre heures que nous y avons passé, on n’a rien ressenti ni vu. En fait, la seule chose qu’on a vue et ressentie, c’est que les jeunes graffiteurs qui y ont dégueulé leur «art» sur les murs n’ont probablement jamais beaucoup discuté grammaire avec leur dictionnaire. C’est le paradis des fautes d’orthographe, c’est moi qui vous le dis. Mais bon, revenons plutôt à l’histoire du bâtiment. En fait, je devrais plutôt dire le complexe, car c’est plus de onze bâtisses qui se trouvent sur ce vaste terrain. Et ça, c’est sans compter l’église qui a été détruite à la suite du verglas de 1998. Il y a donc beaucoup de bâtiments ici : une école secondaire, une école primaire, deux dortoirs pour adolescents et trois bâtiments pour les enfants dont l’un servait de garderie aux enfants des adultes qui y travaillaient. Et ça, c’est sans oublier une grange, un garage, un poulailler, des aires de jeux, une cabane de chasseur et des chalets. Bref, une vraie petite ville en plein milieu des bois, à deux pas de la frontière états-unienne. Mais,bert (1979, p. 1512s) évoque deux sens du mot préjudice. Ce mot provient de deux mots latins indiquant, d’une part, jugement anticipé, et, préjuger, d’autre part. Ces deux mots, réunis ensemble, donnent, quelque part, le terme de préjudice. Ce mot rappelle deux sens précis que voici: est surtout connu pour y avoir accueilli les orphelins de Duplessis. Rappelons que ces derniers désignent des milliers d’enfants orphelins qui ont été faussement déclarés malades mentaux par les organismes religieux de l’époque afin de profiter des subventions fédérales. Bref, on parle d’une énorme escroquerie où l’Église Catholique ne s’est pas contentée d’arnaquer le gouvernement, mais ces derniers en ont aussi profité au passage pour violer, battre et martyriser ces milliers de garçons et de filles qui étaient sous leur responsabilité. Criminels qui n’ont jamais payé pour leurs crimes, doit-on ajouter. Pire que ça, l’Église avait même le droit entre 1942 et 1960 de vendre les dépouilles non revendiquées de tout orphelin à une école médicale. Des orphelins ont même déclaré que certains de leurs confrères et consœurs ont servi de cobayes à des expériences médicales. On raconte qu’en 2010, il ne reste plus que 300 à 400 des milliers d’orphelins qui étaient sous le joug de l’Église il y à peine 50 ans. Bref, l’Institut Doréa, qui était un établissement non psychiatrique, fait partie de la liste du Programme national de réconciliation avec les orphelins et orphelines de Duplessis qui permettait aux victimes d’avoir droit à un montant de 15 000$. Ce programme date de 2007. L’Institut Dorea est situé à Franklin, Quebec, à 200 mètres des lignes américaines, sur Covey Hill près de Ormstown. Il est difficile de croiser les information sur Internet à propos de cet endroit, mais ce fut supposément une école, puis une institution psychiatrique et maintenant un asile abandonné, hanté. 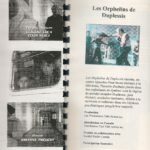 La majeur partie des informations fait référence à la tragédie des orphelins de Duplessis. Commençant dans les années 1940 et se poursuivant dans les années 1960, le Premier Ministre du Quebec, Maurice Duplessis, convenu d’un obscur accord avec l’Eglise Catholique Romaine (qui gérait les orphelinats). Il développa un complot afin de récolter les fonds du gouvernement fédéral pour des milliers d’enfants, dont la plupart étaient rendu orphelins part une séparation forcée avec leur mère qui n’était pas mariée. Dans certains cas, les orphelinats Catholiques étaient renommés centres de soins, et pour d’autres cas, les enfants étaient envoyés dans des asiles existants. Ce n’est qu’à la fin des années 90, que les enfants qui avaient survécu et qui étaient devenus adultes, commencèrent à parler de leur horrible traitement, des expérimentations de différentes drogues et des abus sexuels qu’ils ont du endurer. Faussement déclarés déficients mentaux, garçons et filles furent torturés et abusés physiquement, et même leurs corps étaient vendus pour quelques dollars aux écoles de médecine et universités. 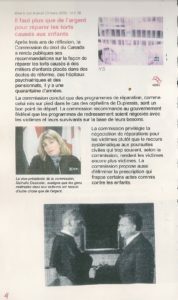 En 1999, le gouvernement québecois s’excusa pour ce qui était arrivé aux orphelins de Duplessis, mais n’a pas ouvert d’enquête sur le sujet… les criminels ne payèrent pas de leur crimes. Certains articles mentionnent même que le site était en relation avec le projet MK ULTRA de la CIA, un programme sur le contrôle de l’esprit, en partie dirigé par le très controversé docteur Donald Ewen Cameron, vivant en Virginie, de l’autre côté de la frontière. Le docteur Cameron n’était pas simplement un psychiatre, il tenait la présidence des association psychiatriques Américaine, Canadienne et Mondiale et bien d’autres encore. Malgré cela, il était vivement critiqué pour ses traitements abusifs sans le consentement de ses patients, utilisant électrochocs et drogues, incluant le LSD. Revenons sur le site de la Dorea, l’endroit est composé de plusieurs bâtiments abandonnés: une école secondaire, une école primaire, deux dortoirs pour adolescents et trois pour enfants. Une église était également présente, mais elle fut détruite durant la tempête de glace de 1998. Ce lieu abandonné est maintenant fréquemment visité par certains en manque d’adrénaline, les accrocs d’activité paranormale, des lieux hantés et autres fantômes… des explorateurs urbains, et peut-être même des squatteurs et trafiquants de drogue (vu l’emplacement à ‘bonne’ distance de la frontière américaine). Parfois, l’exploration utbaine peut vous mener à explorer les côtés les plus sombres du genre humain. Ce n’est pas seulement de photographier des bâtiments, mais également leur histoire. De jeunes ados se rendent également sur place pour casser ce qu’il reste et recouvrir les murs de graffiti bourrés de fautes d’orthographe… pour terminer sur une note un peu plus légère. L’exploration urbaine peut être dangereuse et illégale, alors faîtes attention si vous visitez ces lieux abandonnés. Nous ne vous encourageons pas à les explorer, mais si vous le faîtes, veuillez s’il vous plait respecter ces lieux anciens. Vous entrez à vos risques et périls! 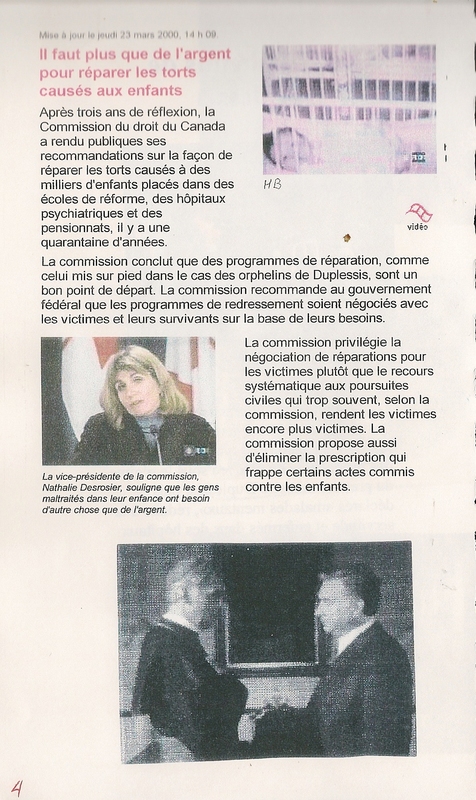 L’Institut Doréa fut apparemment fermé en 1995. 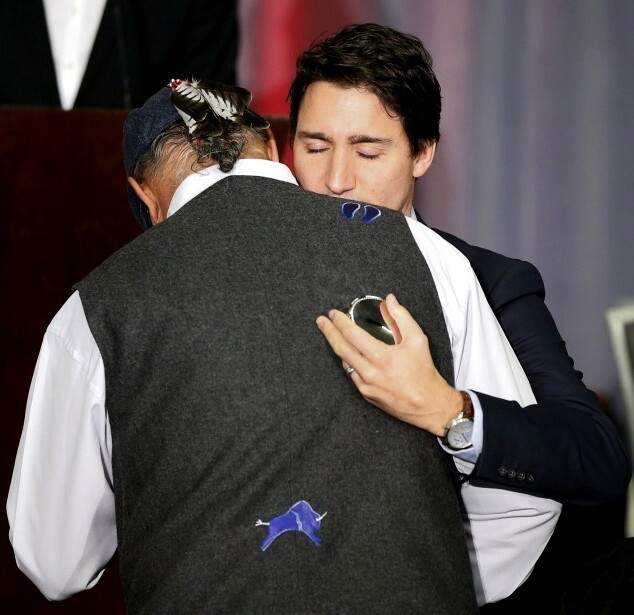 Déjà 64 ans le double Génocide Politique et Religieux a été perpétré sur le territoire Canadien et Québécois se sont les valeurs et les voleurs Québécois qui continue a faire ravage dans les rang de la politique, tous a chacun triche, vole,magouille,c’est le culture Québécoise Duplessite qui est rester pour y régner. Qu’esse est t’il arrivé a cette date du !9 mars ou il sont appliqué les règlements et les dispositions du Décret 816 signé DUPLESSIS, MAURICE LE NOBLET (baptisé Joseph-Maurice-Stanislas), avocat et homme politique, né le 20 avril 1890 à Trois-Rivières, Québec, fils de Nérée Le Noblet Duplessis et de Berthe Genets ; décédé célibataire le 7 septembre 1959 à Schefferville, Québec, et inhumé dans sa ville natale. Le génocide perpétré dans le vingt lemme siècle le gangstérisme des accusations aux bandits quand eux ne sont pas mieux qui sont enfermer, doit ton les enfermer des personnes qui volent qui triches comme Madame mon avis, Mme Thibault sert de bouc émissaire : parmi tous les corrompus qui ont fraudé le Québec durant la dernière décennie, c’est la seule qui est traînée devant les tribunaux et sur laquelle tout le monde se défoule. C’est vrai qu’elle a fraudé ; mais je crois que c’était plus par inconscience que par intention malveillante. La nomination à ce poste honorifique lui a sans doute monté à la tête et elle semble avoir été très mal conseillée et pas du tout encadrée. Certes, elle a des comptes à rendre et elles doivent être sanctionnées, mais le sort qu’elle subit est disproportionné par rapport aux fautes qui lui sont reprochées. Quand on voit ce qui se passe à la Commission Charbonneau, je trouve qu’il faut faire la part des choses. 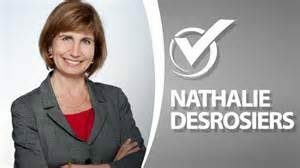 Cette dame, a fraudé en toutes connaissances de cause. Il ne faut pas considérer son état physique malgré tous les efforts qu’elle met pour impliquer sa chaise roulante (tout en jouant au golf). Sa première mission comme lieutenante-gouverneure, comme ses prédécesseurs d’ailleurs, est de prioriser le Canada au détriment du Québec. Elle a fait cela avec le pognon des québécois. Elle a fait pire: elle a fraudé le peuple québécois avec l’argent des québécois. Le sort qu’elle subit n’est pas plus disproportionné pour les fraudes qu’elle a commises que d’autres qui ont volé les Québécois. La grande différence, c’est qu’avec les petits amis incluant juges et avocats fédéralistes et provincialistes, elle continue à se moquer du peuple et à coûter des milliers de dollars. 1954-08-12 Décret 816 mont-providence ce décret instauré dans le but de renflouer les coffre du Gouvernement Duplessis le sauveur le bon Dieu des Politiciens des Québécois. On n’a envoyé à l’abattoir de ces 370 enfants toujours recevoir des menaces constamment ceux qui ne travaille pas comme il le faut ou ne travaille pas se trouveront envoyer dans un super hôpital dans la même congrégation des sœurs de la Charité de la Providence, St-Jean de Dieu. La Liste des Lois violé par les autorités Canadienne et Québécoise. Abus de médication sans suivre la vraie pathologie pour en faire des expériences entre les universités du Québec. Les complots, magouilles, tricheries, collusions, corruptions de 1954 à 2018. Entre ses bras puissants ? Quelle providence pour ses enfants la religion et la politique se sont des bourreaux de la société Québécoise, il leur ont enlever tous les droit de vivre comme tous les autres enfants du monde,aujourd’hui se sont des enfants de famille mono parental et ont les traite pas comme dans le passé,les envoyer dans des crèches out les mères sont des enparré ou ont les enlevé de leur mère et le vendre partout dans le monde au état Unis ont adopter ces enfants ont du payer plusieurs millier de dollars ce sont les valeurs Québécois enseigner par la religion catholique de Rome . De plus ont gardais le mère pour entretenir les crèches plusieurs mois ont du travailler fort pour régler leur pitance après ont les envoyais dehors ne savait pas ou aller,il sont aboutis dans des leu malsaines,ou des gens ont profiter de leur statut de pauvreté des curé les prenais et abusait de ses filles mères qu’elle ne voulais pas dans l’église dans leur lit sa faisait leur affaire afin de se soulager de leur pulsion sexuelle. Ne font rien elle se pavane devant des dignitaires pour faire des show de Boucanes. Le berceau des faux Anges réduit le Génocide des Enfants née dans des berceaux maltraité pas la Politique et la Religion Catholique du Québec et du Canada. Une mère qui cherche son enfants a la crèche ou les religieuses cache leur indemnité pour les vendent au marché des américains et européen elle doit rester a la crèche pour leur faire faire des sale besogne donc les sœurs ne veulent pas faire. La Crèche Saint-Vincent-de-Paul comptait quatre départements, partagés en autant de niveaux. Les enfants étaient gardés au premier étage de leur naissance à l’âge de trois ou quatre mois puis étaient transférés au deuxième étage, où logeaient les bébés de quatre à dix mois. Le troisième étage hébergeait les « grands », âgés de dix mois à deux ans. Les plus âgés habitaient le rez-de-chaussée, ce qui leur offrait la possibilité de sortir fréquemment et de profiter de la cour et du parc. 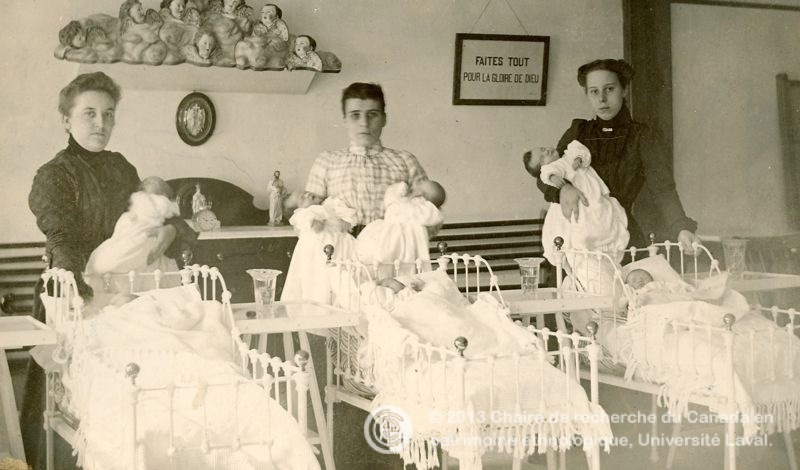 En avril 1953, au moment du départ de sœur Albertine Boucher de la Crèche, l’établissement logeait 810 bébés. D’abord considérable, compte tenu du nombre d’enfants sur qui veiller, la tâche des religieuses et des aides laïques a toutefois été allégée suite à la fondation, en 1948, de l’École de Puériculture. Dès lors, des étudiantes ou des graduées assistaient les religieuses et avaient des enfants à leur charge. Chaque étage étant séparé en dortoirs de treize lits, chaque religieuse et chaque puéricultrice avait à sa charge treize enfants. Au 2e étage, une graduée en puériculture s’occupait, quant à elle, d’une section de trois dortoirs. Ainsi, en plus des religieuses, le personnel de la crèche était composé d’étudiantes en puériculture, de puéricultrices diplômées, d’infirmières, de médecins et d’aides. Plusieurs services essentiels étaient aussi présents à la Crèche, notamment la cuisine, la buanderie, la lingerie, les ateliers et la biberonnerie. Les bienfaiteurs et bienfaitrices venais comme les Kiwanis donner de la joie et des cadeaux la musique durant les fêtes dans l’année courante. 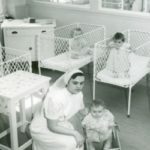 1953 Bienfaitrice Mme Fleurette GirardT D’autre bienfaiteur aussi sont venue dans les creches et les Orphelinats et Hôpital a fin des les réconforter les enfants de leur conditions physique ou mental . Le berceau des faux Anges la vérité se sont des orphelins et orphelines de Duplessis. 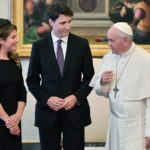 Canada par Joseph James Paul Martin le responsable du Génocide de ces enfants née hors mariage sans le consentement des deux diocèses de Montréal et Québec de la secte La Religion Catholique de Rome ou le pape est assis sur sont laurier . ul Joseph James Martin a aider a faire des malades mentaux pour se débarrasser du Dossier du Mont-Providence. Joseph James Guillaume Paul Martin, PC CC QC (June 23, 1903 – September 14, 1992), often referred to as Paul Martin, Sr, was a noted Canadian politician. 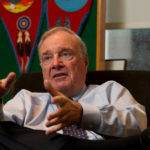 He was the father of Paul Martin (Jr.), who served as Prime Minister of Canada from 2003–2006.
. Le gouvernement fédéral, les communautés religieuses et le corps médical doivent contribuer financièrement au fonds d’indemnisation, selon des proportions qu’elles doivent négocier. Des d’abus contre des individus ont eu lieu dans des établissements publics au Canada. Cela est un fait de l’histoire canadienne du xxe siècle. Les orphelins de Duplessis font partie de ces victimes d’abus. Ces enfants, orphelins sous la tutelle de l’État, ont été placés en milieu psychiatrique par le gouvernement de Maurice Duplessis, permettant à ce dernier de toucher des subventions fédérales spécialement prévues pour la psychiatrie. La présente étude porte sur les perceptions et sur l’expérience institutionnelle de ces enfants. Elle relate la lutte qu’ils ont menée, dans ses dimensions légales et politiques, pour faire connaître l’injustice qui leur a été faite et pour faire reconnaître leur statut d’ abusé ». Ils ont demandé réparation au gouvernement provincial, à la profession médicale et à l’Église catholique. Mandaté par la Commission du droit du Canada, ce texte n’engage que ses auteurs. Les autochtones on reçu du fédéral vingt deux milliards de dollars en plus il demande encore de dollars pour des femmes qui se sont fait tuer dans leur famille respective encore nous qui paie, pour les orphelins coller au ministère de l’immigration et de l’emploie, qu’ès que l’ont fait la dans se ministère c’est surement de l’improvisation de Lucien Bouchard et ses complices, écraser en miettes les victimes blancs . Dans plusieurs autres cas d’abus de jeunes qui ont eu lieu dans des établissements de santé ou d’éducation (le plus connu étant Mount Cashel à Terre-Neuve), il y a eu au moins reconnaissance, par les instances impliquées, qu’une injustice avait été commise. Dans le cas des enfants de Duplessis, au moment de la collecte des données, il n’y avait même pas eu cette reconnaissance, ni de la part du gouvernement du Québec, ni de celle de l’Église catholique, ni de la profession médicale du Québec. Cela se reflète donc dans le thème le plus important mentionné par les informateurs, qui soulignent cet intense besoin ressenti de faire reconnaître qu’une injustice a été commise. Même s’ils comprennent et acceptent que les normes de discipline de cette époque étaient différentes de celles aujourd’hui, ils ne peuvent accepter de n’avoir pas été éduqués et, plus encore, ils acceptent très mal d’avoir encore et toujours à vivre avec l’étiquette « débile mental » qui leur a été accolée. C’est cette pratique d’étiquetage, largement répandue à l’époque, qui demeure insupportable, source de stigma et d’une faible estime de soi. Un des plaignants croyait même que cette étiquette lui avait été assignée avant sa date de naissance. On a obligé les orphelins à vivre avec ces étiquettes toute leur vie. 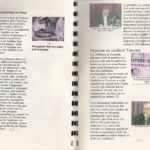 Pour célébrer le 50e anniversaire de la Déclaration en 1998, l’UNESCO a édité une médaille commémorative dont la face représente un globe terrestre entouré des mots Déclaration universelle des droits de l’homme, 1948-1998, 50e anniversaire . Au revers est gravée la première phrase de l’Article 1: Tous les êtres humains naissent libres et égaux en dignité et en droits, ainsi que les mots « droits de l’homme » dans les six langues officielles de l’Organisation : anglais, arabe, chinois, espagnol, français, russe. Au centre figure le logo de l’UNESCO. 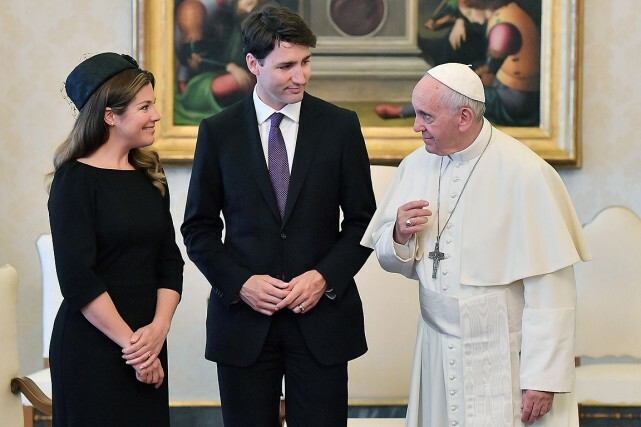 sLe premier ministre canadien Justin Trudeau a invité le pape François, qu’il a rencontré lundi au Vatican, à se rendre au Canada pour présenter des excuses aux peuples autochtones, dans un souci de réconciliation. 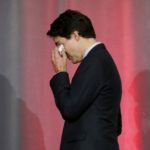 Justin Trudeau a dit que le chef de l’Église catholique lui avait assuré avoir toujours à cœur la défense les plus « marginalisés » et qu’il était prêt à travailler avec les autorités canadiennes pour trouver une issue sur ce point. 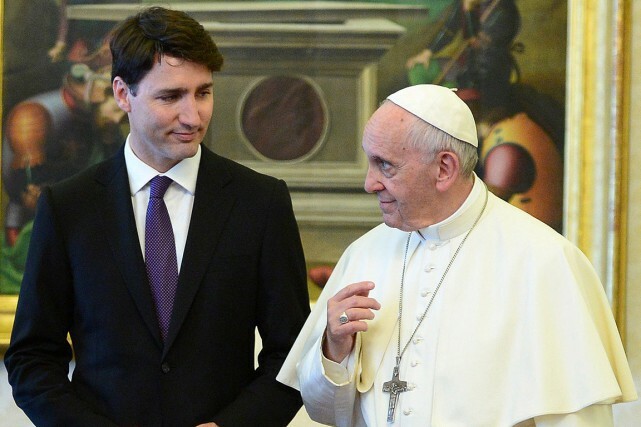 Il n’a pas évoqué de réponse éventuelle du pape à son invitation à se rendre au Canada. TTAWA | Le premier ministre Justin Trudeau a exprimé sa déception, mercredi, au lendemain du refus du pape François d’offrir des excuses aux survivants des pensionnats autochtones au Canada.«Je suis très déçu de la décision de l’Église catholique de ne pas offrir d’excuses pour les écoles résidentielles. Je pense que c’est un élément important pour la guérison et la réconciliation dans le pays», a indiqué le chef à son arrivée au caucus libéral. 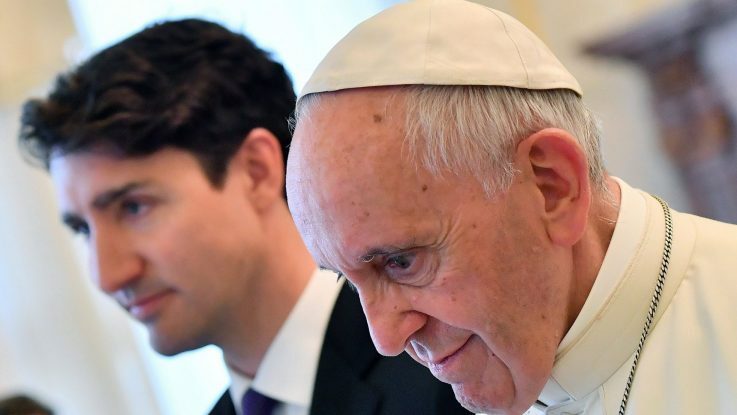 Lors de son voyage au Vatican l’an dernier, M. Trudeau avait personnellement demandé au pape François de présenter des excuses formelles aux survivants.Le pape ferme la porteIl s’agissait d’une des recommandations comprises dans le rapport final de la Commission de vérité et réconciliation, déposé en 2015. Cette demande s’inspirait d’excuses similaires faites en 2010 par l’Église catholique aux Irlandais victimes d’abus sexuels par des religieux.Or, dans une lettre adressée aux peuples autochtones mardi soir, la Conférence des évêques catholiques du Canada (CECC) a confirmé que les excuses du pape ne viendraient pas. «Après avoir examiné attentivement la demande et l’avoir discutée abondamment avec les évêques du Canada, il était d’avis qu’il ne peut pas y répondre personnellement», a écrit l’évêque Lionel Gendron, président de la CECC. 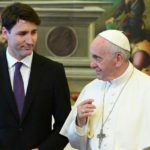 Il a précisé qu’une visite du souverain pontife au Canada pourrait être envisagée, au cours de laquelle il pourrait rencontrer des peuples autochtones. Le néodémocrate Roméo Saganash, lui-même survivant des pensionnats autochtones, a condamné le refus de l’Église catholique sur Twitter. «Pour un Pape qui se dit pourvu d’une conscience sociale, son refus de s’excuser pour le rôle de son Église dans les Pensionnats n’est pas acceptable», a-t-il déploré. «Je sais que les survivants et les catholiques qui nous ont approchés vont continuer de faire pression pour obtenir ces excuses», a déclaré la ministre des Relations Couronne-autochtones, Carolyn Bennett, elle aussi déçue par la décision de l’Église. Le chef de l’opposition officielle, Andrew Scheer, a avancé qu’une institution ayant joué un rôle aussi important dans le «chapitre noir» des pensionnats autochtones présente des excuses, comme l’a fait le gouvernement conservateur en 2008. Soulignant l’importance que l’Église reconnaisse les torts du passé, le député libéral Robert-Falcon Ouellette croit que ce n’est que partie remise pour des excuses officielles. «Ce n’est pas fait encore, mais je crois que ça va l’être éventuellement. 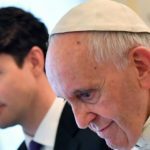 Le pape François a la justice à coeur, donc la volonté est sûrement là. Mais l’Église est une grosse institution et peut-être qu’elle n’est juste pas prête à s’excuser encore», a affirmé le politicien cri, dont le père est un survivant des pensionnats autochtones. 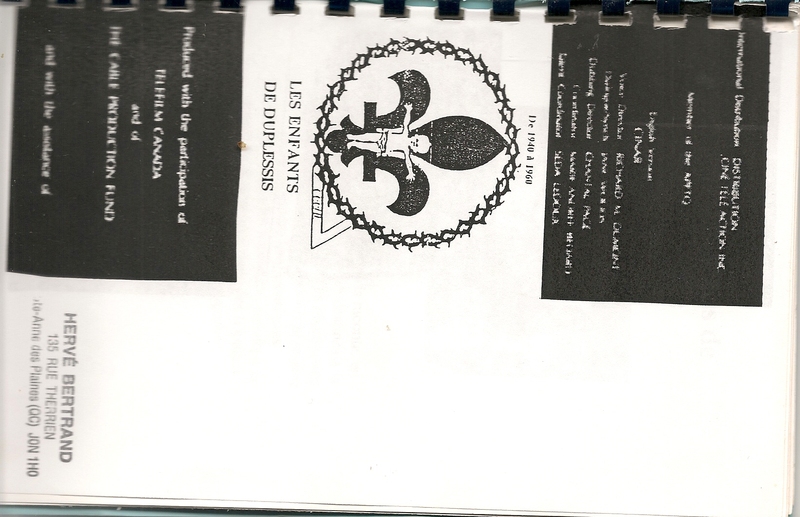 On March 4, 1999, Prime Minister Lucien Bouchard officially apologized to the Duplessis orphans, who received a special assistance fund of $ 3 million. The Prime Minister, however, refuses to grant individual compensation and to hold a public inquiry into this issue. Le berceau des anges sa sonne faux la douceur de ce filme quand des horreurs sont commit sur notre belle province avec le bon Dieu de politiciens du Québec, je me souviens. Elle venais tout juste de mentir aux Gouvernements du Canada car l’or toit venais du Fédéral il ont pris trois ans a cent percevoir. 1950 juin 12 C’est peu de temps après, en 1950, que l’école Mont-Providence à Rivière-des-Prairies a été fondée. Cette école dirigée par des religieuses avait pour mission d’apporter des enseignements adaptés aux enfants abandonnés qui en avaient besoin. Mentionnons que ces services, très coûteux à assumer, étaient financés au départ par une subvention du gouvernement fédéral donnée dans le cadre d’un programme destiné au domaine de la santé, et non au domaine de l’éducation. Le 15 janvier 1953, une neige fine tombe sur Rome. Dans la basilique Saint-Pierre, Pie XII dépose le chapeau rouge sur la tête du douzième cardinal à être couronné ce jour-là. Monseigneur Paul-Émile Léger, l’archevêque de la métropole, vient d’être nommé prince de l’Église. Tout Montréal exulte car il s’agit d’un précédent spectaculaire ; cet honneur était auparavant réservé au diocèse de Québec. La nomination de Paul-Émile Léger permettra à l’Église québécoise de vivre l’un des derniers moments de son épopée nord-américaine. En effet, la prochaine décennie verra les Québécois remettre en question leurs pratiques religieuses. 1954 À la fin de l’année scolaire les enfants qui ont une famille sont renvoyer chez eux leur parent, ils restait 370 enfants non réclamé il ont tous eu un faux diagnostique dans L’hôpital Psychiatrique. 1955-Gules Léger Cénateur Ottawa Frère du Cardinal on pas réussit de faire changer d’idée a Paul Martin le Ministre Fédéral de la Santé Canada. 1957 a 1961 Rapport présenté par le sous comité des déficients mentaux relevant De la sous-commission des exceptionnels du département de l’instruction. 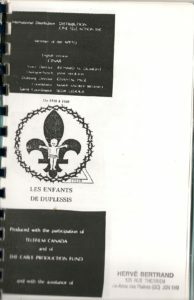 Mémoire sur le classification des enfants et l’organisation des classes au Mont-Providence , Gouvernement du Québec Ministère de la Santé et du Bien-être social 1961. Publique de la province de Québec . Le problème du déficient mental entraînable Par le docteur Louis Barbeau Directeur du bureau des classes auxiliaires de la Commission des écoles Catholique de Montréal. 1961-Jacques Hébert Cénateur a aider a Jean Charles Pagé a écris ses mémoires De ST Jean de Dieu. 1962, 16 mai le rapport de la commission Bédard a été déposé. C’est ce rapport qui a mis fin, en exigeant la désinstitutionalisation des jeunes, aux souffrances qu’ils enduraient. Depuis lors, une partie des orphelins de Mont-Providence aurait réussi à se socialiser normalement. Cependant, une autre partie aurait vécu plus de difficultés d’adaptation à leur sortie de l’institution. Ce sont eux qui constitueraient les membres centraux du mouvement de contestation des orphelins de Duplessis. 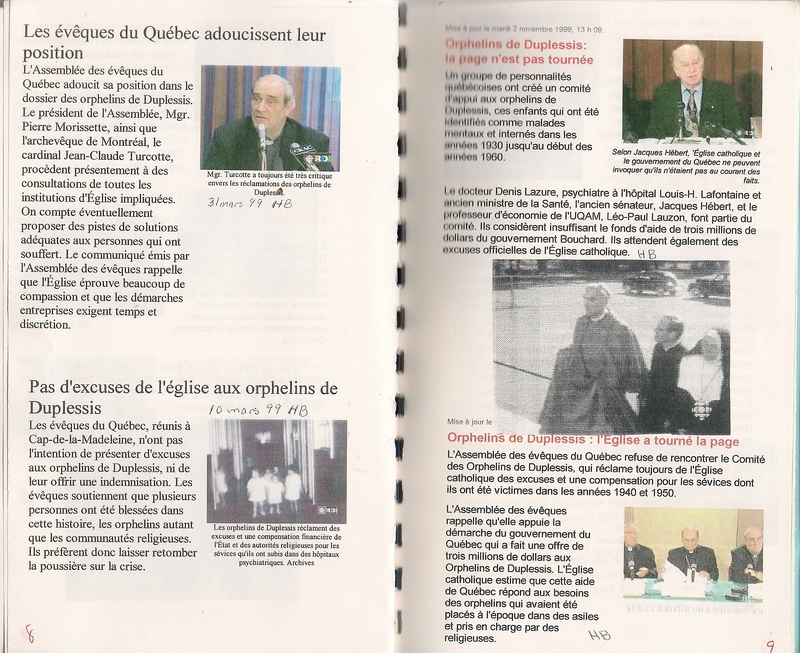 En septembre 1999, la communauté religieuse québécoise a annoncé qu’aucune excuse ne serait faite aux orphelins, considérant le travail difficile qu’elle avait effectué au moment des faits reprochés. En fait, des années après que les injustices vécues aient eu lieu, les orphelins, membres de ce mouvement de contestation, ont souhaité obtenir des réparations. Vers le début des années 1990, un recours collectif a donc été intenté et 240 plaintes individuelles ont été portées au tribunal criminel. Aux plaintes des enfants de Mont-Providence, se sont également jointes celles d’abus physiques ou sexuels concernant des faits survenus dans d’autres institutions psychiatriques. En effet, il faut mentionner que l’institution de Mont-Providence n’était pas la seule du genre à accueillir des enfants à l’époque. L’Hôpital Saint-Jean-de-Dieu à Montréal et le Foyer Sainte-Luce à Disraëli sont d’autres hôpitaux psychiatriques où des jeunes ont été internés. Reste cependant que le cas de Mont-Providence est souvent davantage rapporté par les médias. 2 ime Pétition contre C.O.O.I.D. Le comité des Orphelins de Duplessis a dérapé dans le règlement avec le gouvernement de l’époque, l’étiquette de débilité mentale n’a pas été supprimée des dossiers médicaux des Orphelins et la gestion des fonds d’argent destiné au comité des Orphelins de Duplessis est plus que douteuse. Nous avons bonne raison de croire que le président Bruno Roy a dépensé une grosse somme d’argent frauduleusement. Plusieurs Orphelins disent ouvertement que Bruno Roy aurait acheté une maison d’une valeur de 250,000$ à Edmonton Nouveau Brunswick avec l’argent détourné. Nous agissons en qualité de citoyens concernés et nous demandons à nos dirigeants de procéder à des mesures immédiates pour ouvrir une enquête sur la gestion du comité des Orphelins de Duplessis et sur les agissements du président Bruno Roy. à la tête d’une manifestation en février 1999, à Montréal. —– Faire des excuses, a dit le cardinal Turcotte à la conférence de Presse du 15 septembre dernier, c’est perdre notre temps ». C’est une chose de refuser, c’en est une autre de le faire avec mépris et mensonge volontaire. Bref!Malgré la gifle brutale et méprisante de l’Église catholique qui refuse d’exprimer des excuses et donc de reconnaître ses torts, nous poursuivrons notre lutte difficile. Nous sommes en ce moment à établir avec le bureau du Premier ministre les modalités d’une rencontre avec monsieur Bouchard, rencontre qu’il a acceptée à ma demande. Cette rencontre doit nous sortir de l’impasse dans laquelle le gouvernement du Québec a mis les orphelins de Duplessis Si, rencontre ou pas, l’impasse est maintenue, il nous faudra conclure à la fin des négociations avec le gouvernement du Québec. La rupture sera alors totale. La société distincte de l’injustice sera chose faite.